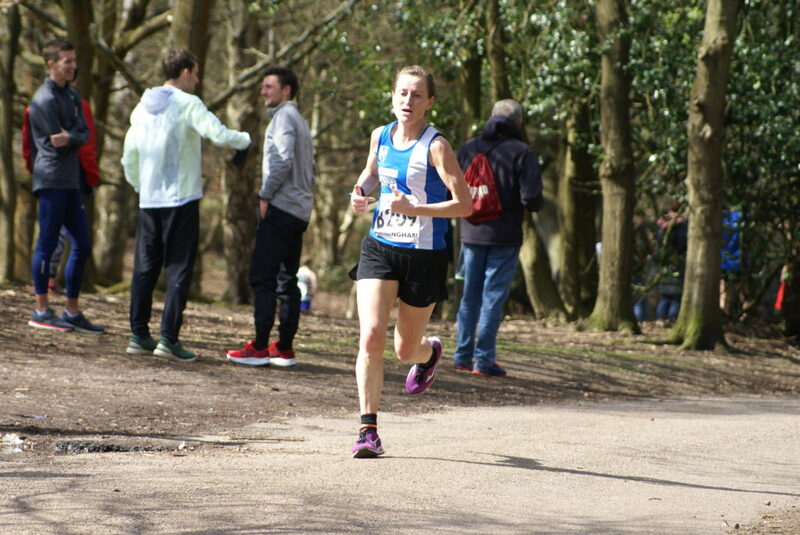 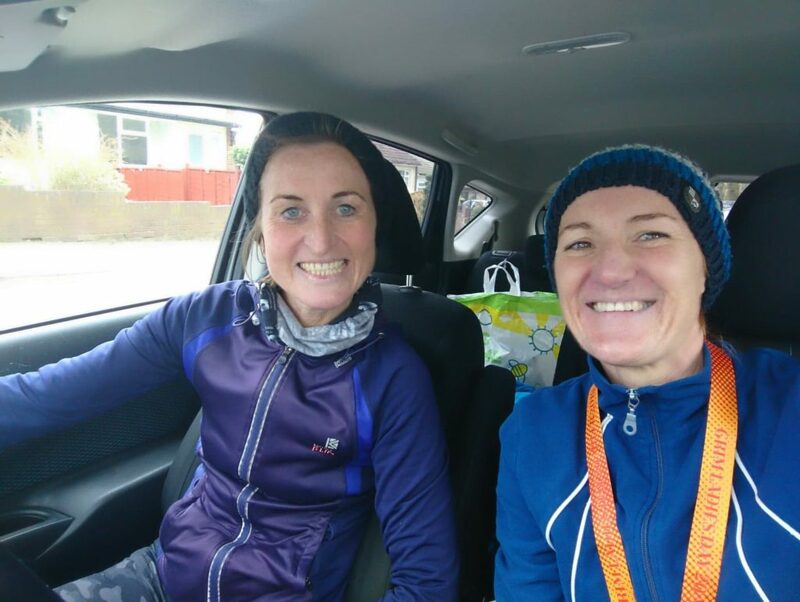 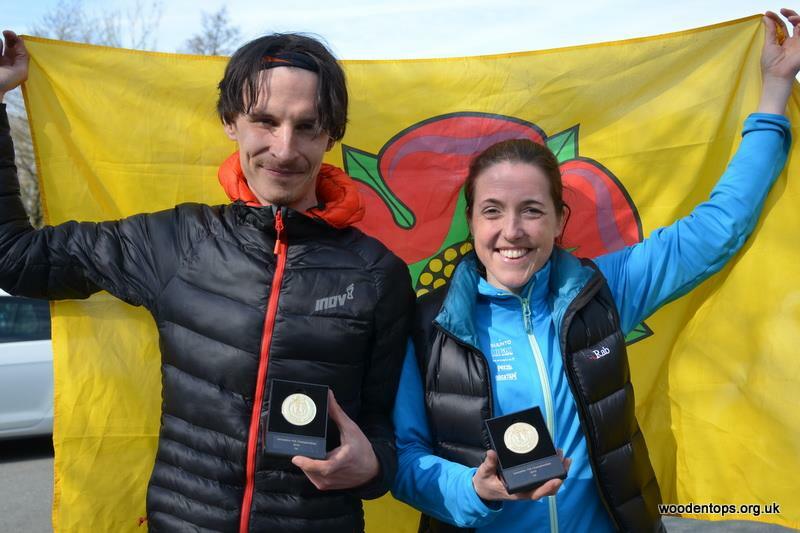 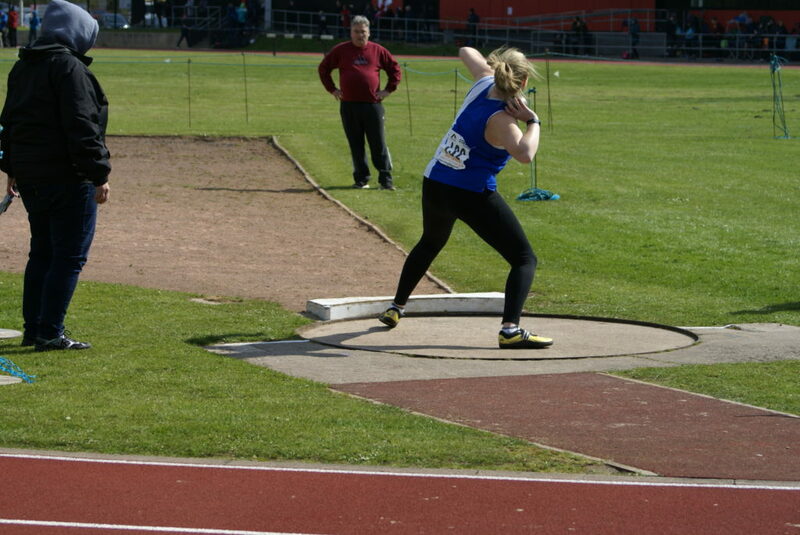 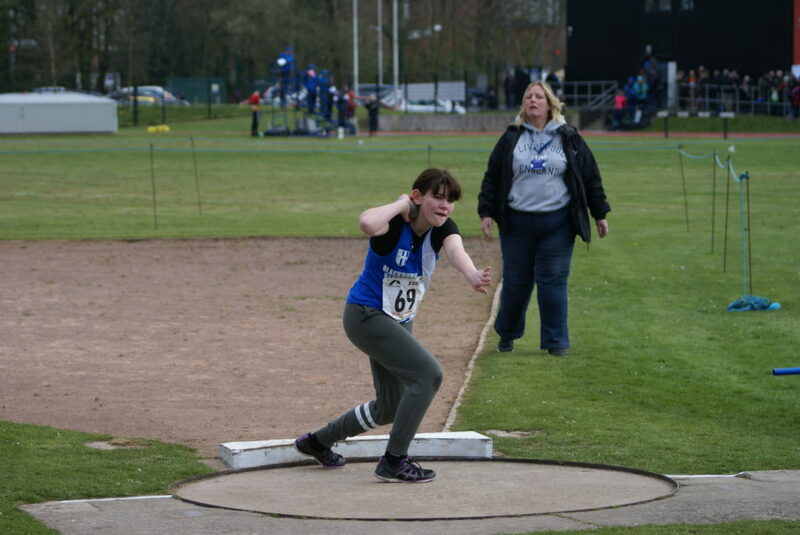 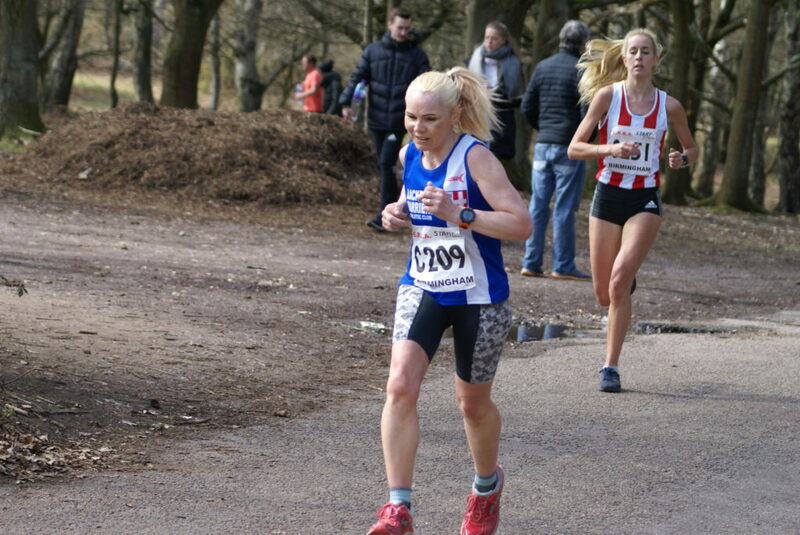 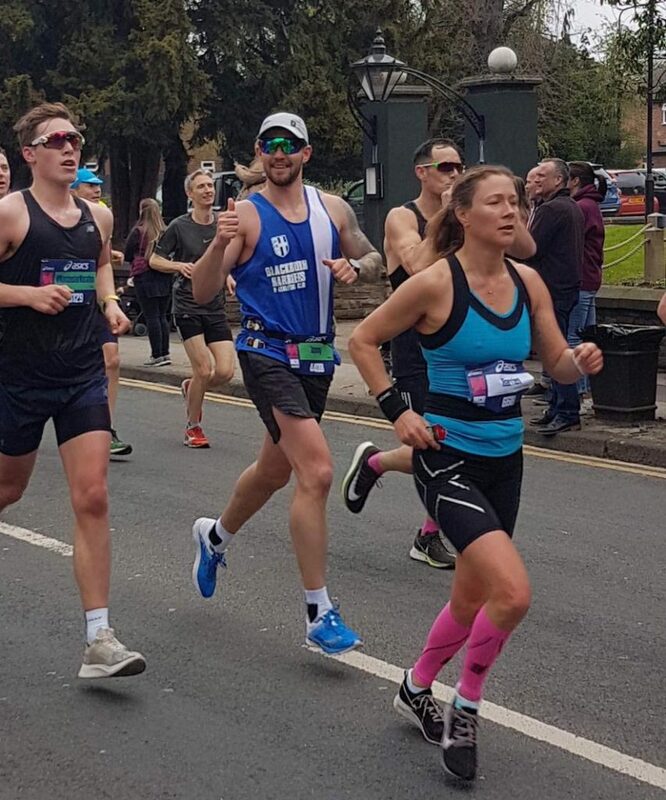 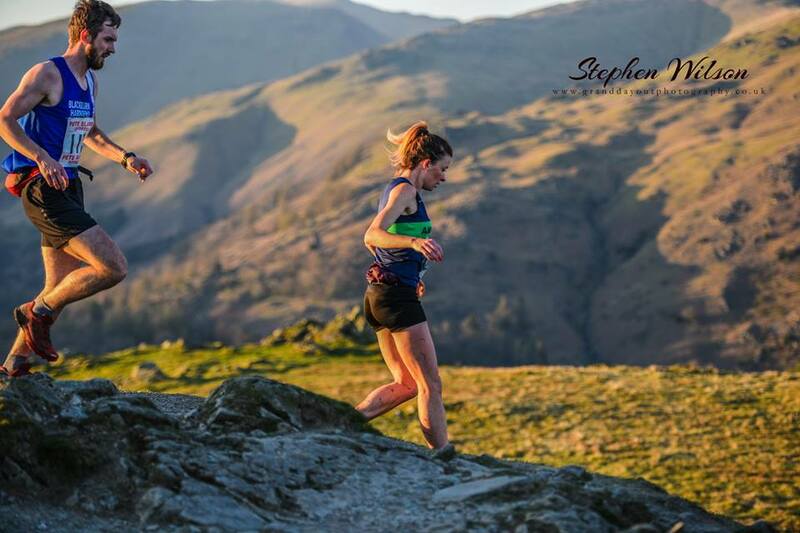 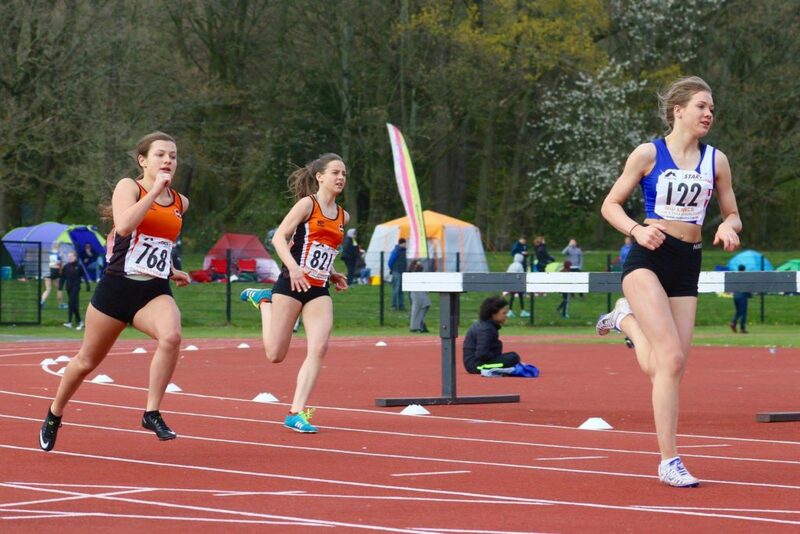 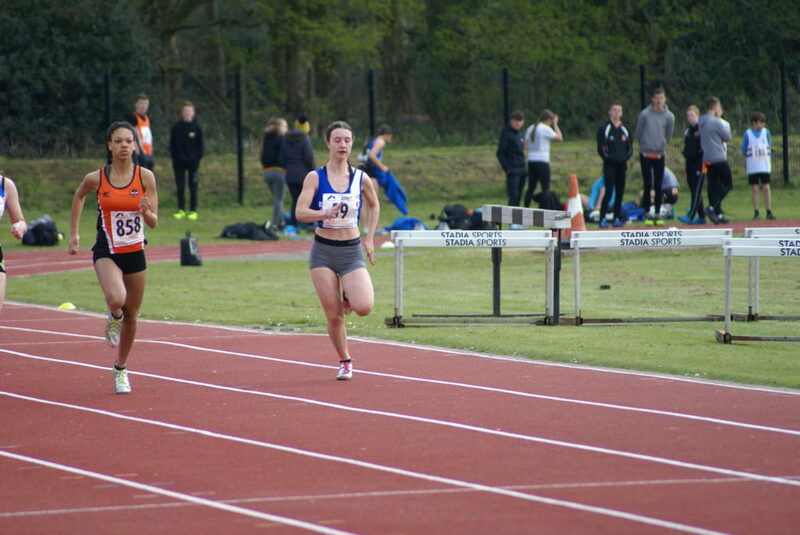 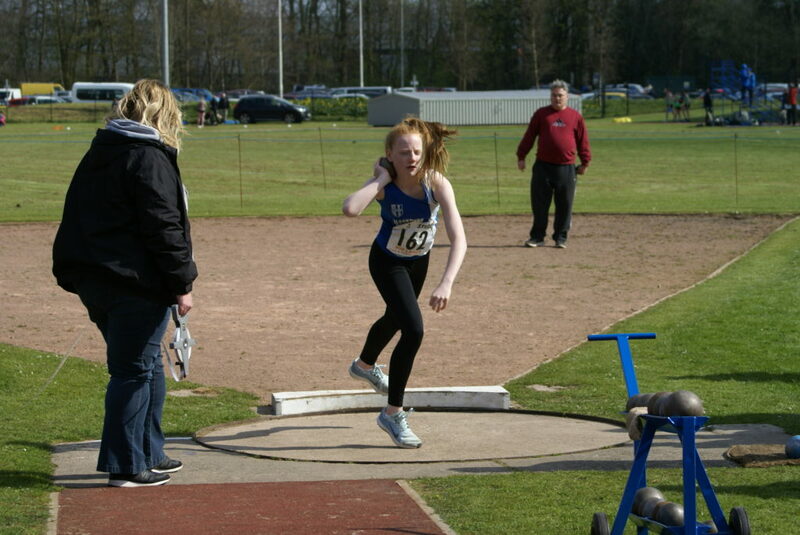 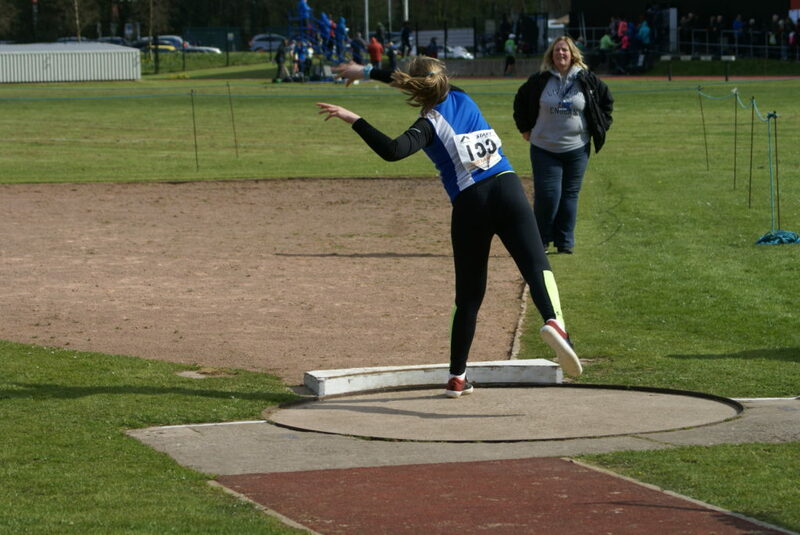 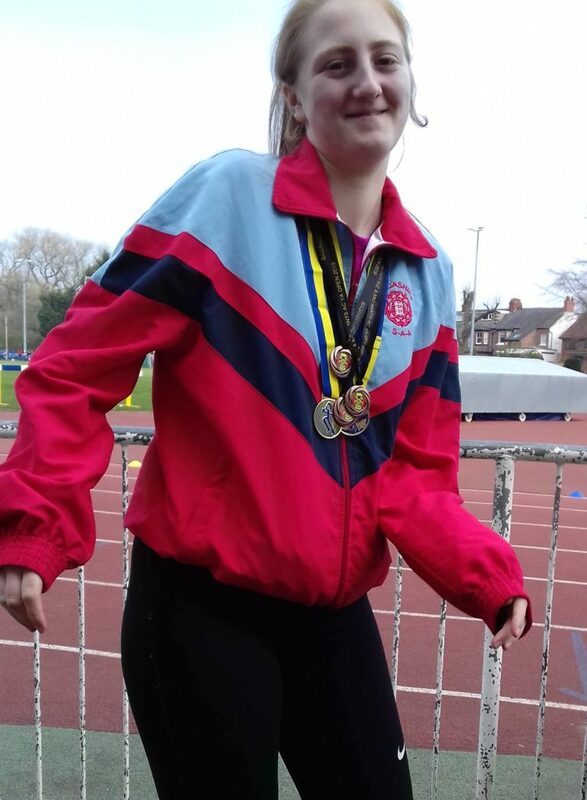 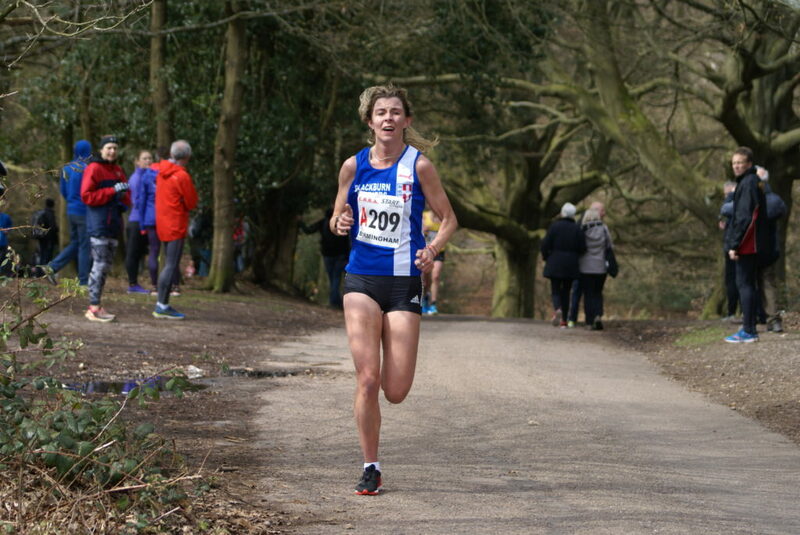 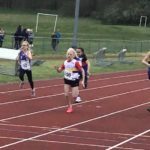 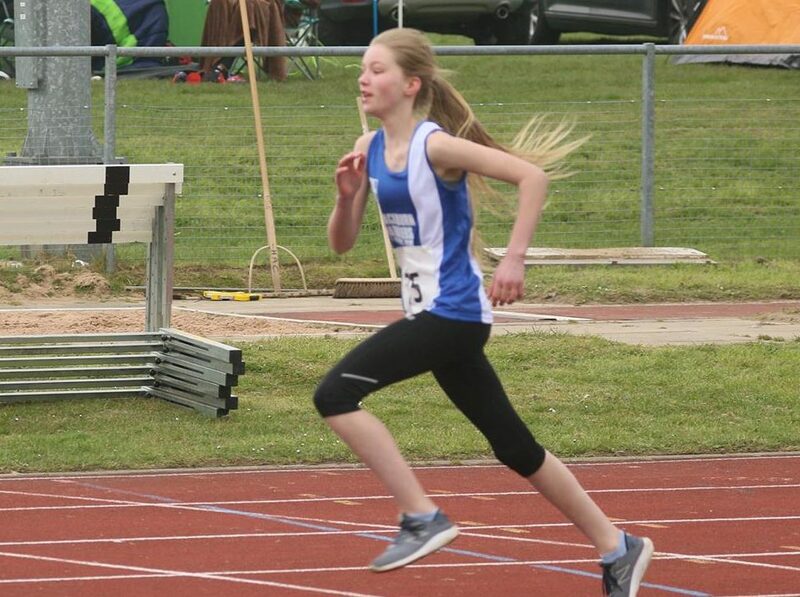 In 2018 Charlotte Williams – or Charlie as she is known to us at the Harriers – managed to throw in competition just six times which resulted in five wins and one third place. 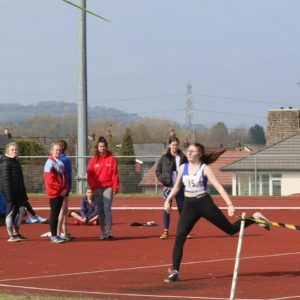 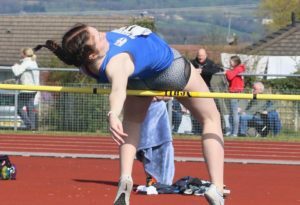 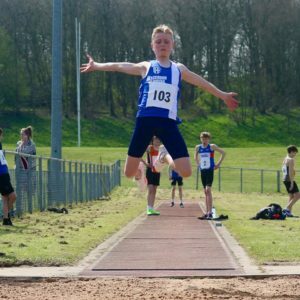 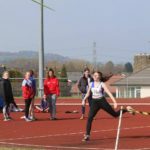 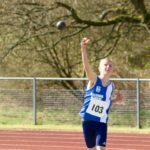 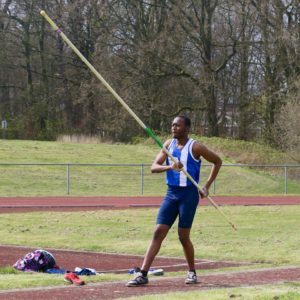 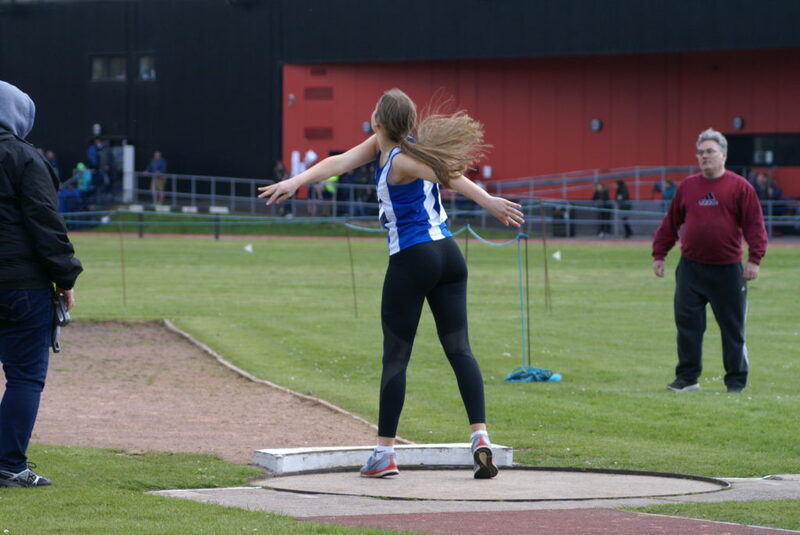 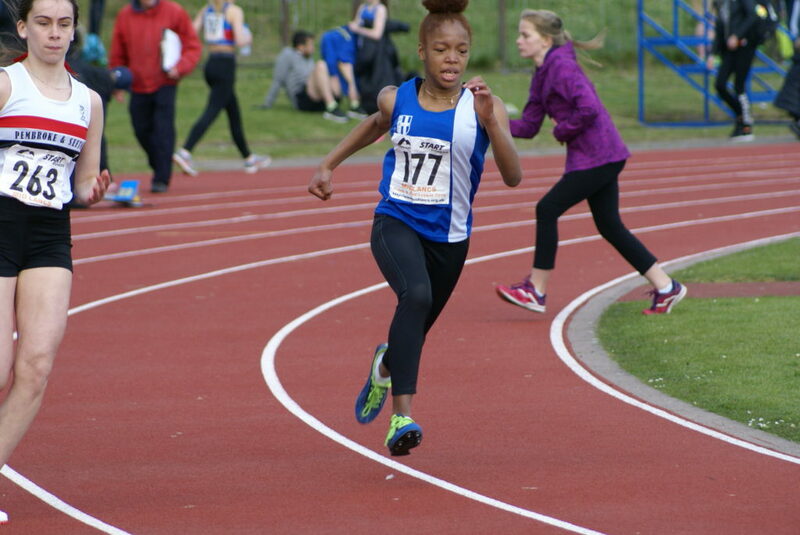 She won the Mid Lancs League fixture on July 28th (53.07m) (3kg); won the UKYDL Regional Final with 57.11m (3kg) on July 29th; won the Northern U17 Championships with a throw of 57.20m (3kg) on 11th August, came 3rd in the National U17 Championships with 57.41m (3kg) on 26th August and finally threw 54.12m at the Hammer Circle reunion (4kg) in October. 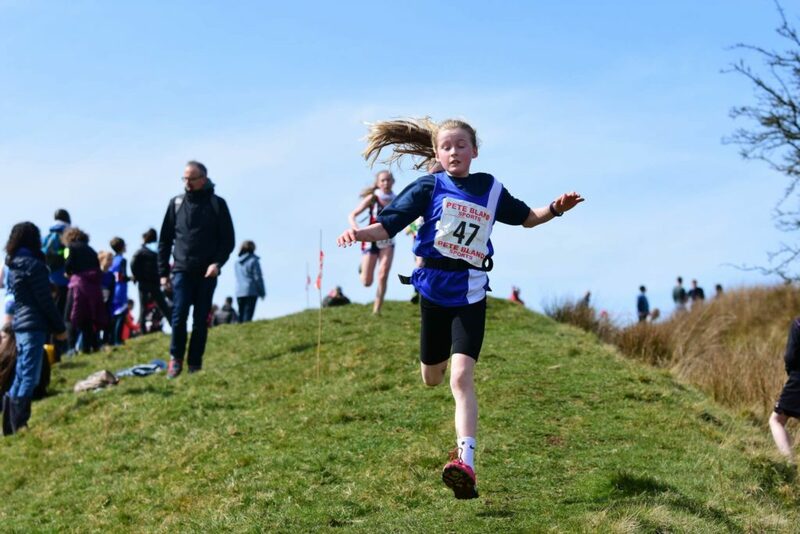 This was a brilliant set of results, but all the time she was having to deal with injury problems, which very few know about within the sport. 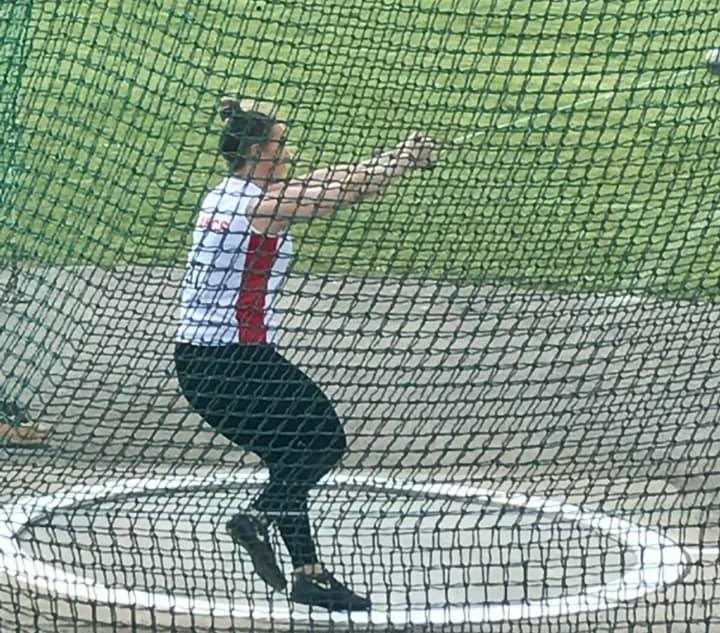 Last year was also a momentous year in a different way for this talented Hammer Thrower and that was because she had to contend with surgery on her Meniscus and Anterior Cruciate Ligament, injuries which can be career threatening. 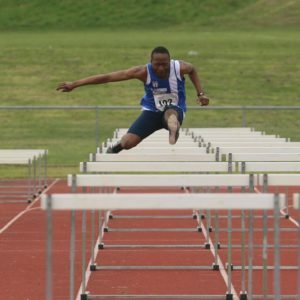 Injuries, as they say in all sport, are part and parcel of your life and it is how you deal with them that counts. 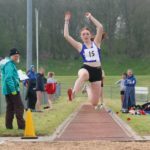 It is however, a lot more difficult at 16 years of age to have to cope with that and it takes real strength of character, dedication and commitment as well as a dogged determination to fight back and to not only recover, but to come back even better – and that is exactly what this young woman has done. 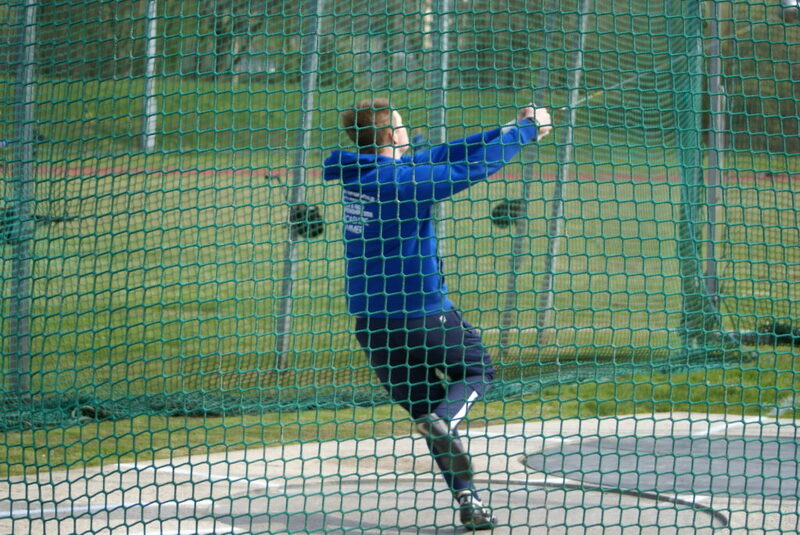 Sam Gaskell is another very talented Hammer Thrower at Blackburn Harriers. 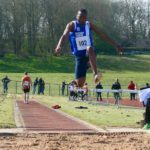 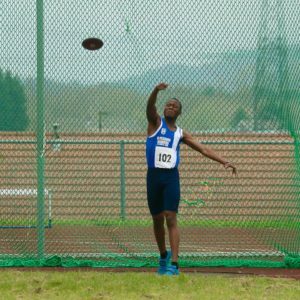 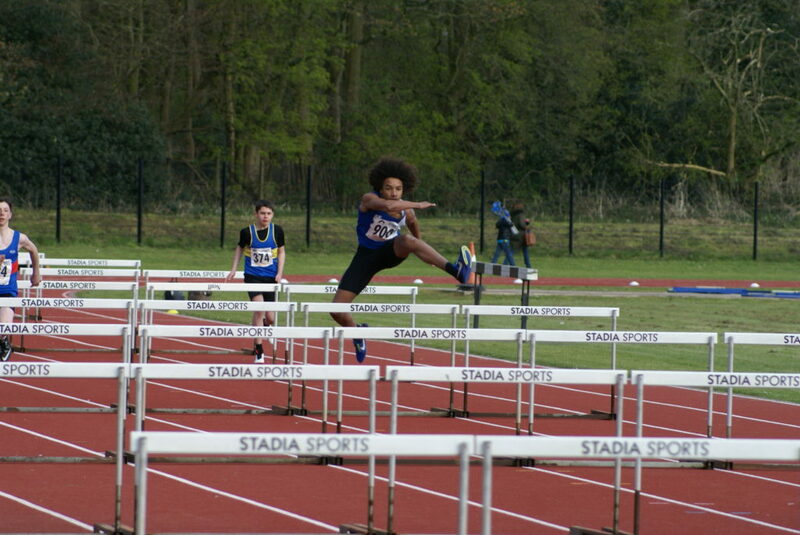 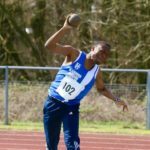 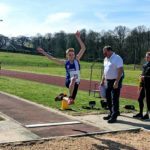 As an U17 in 2018 Sam won the English Schools with a lifetime best of 68.75m (5kg) which was the culmination of his season. 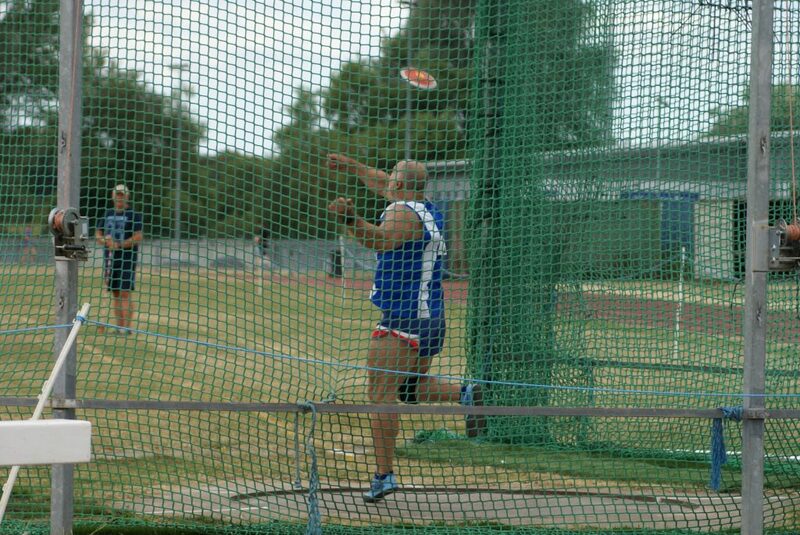 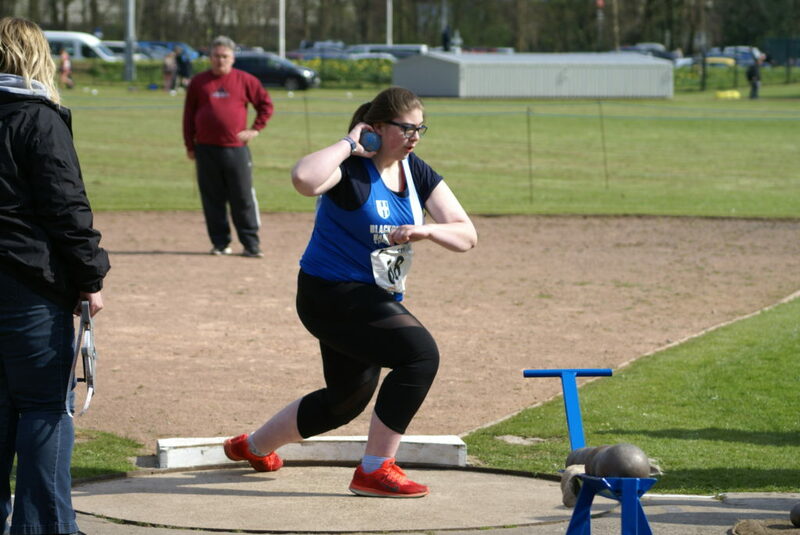 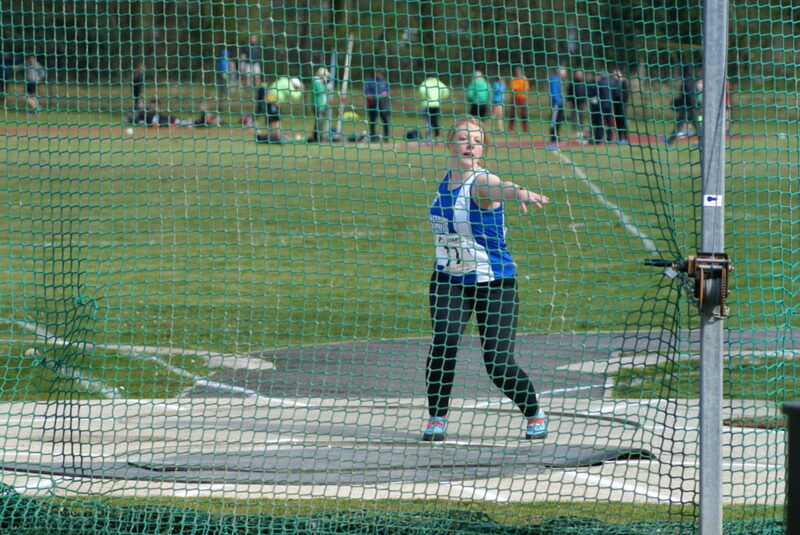 Prior to that, Sam won the Liverpool Throws & Jumps Open in April with 59.23m (5kg); Won the Lancashire County Championships in may with 64.65m (5kg); Won the Lancashire Schools Championships on June 9th with a throw of 65.18m (5kg); Won the National U17 Championships at Bedford, throwing 67.01m (5kg) and finally came 2nd in the SIAB International at Grangemouth with a throw of 65.58m (5kg). 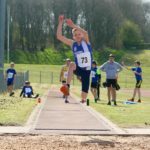 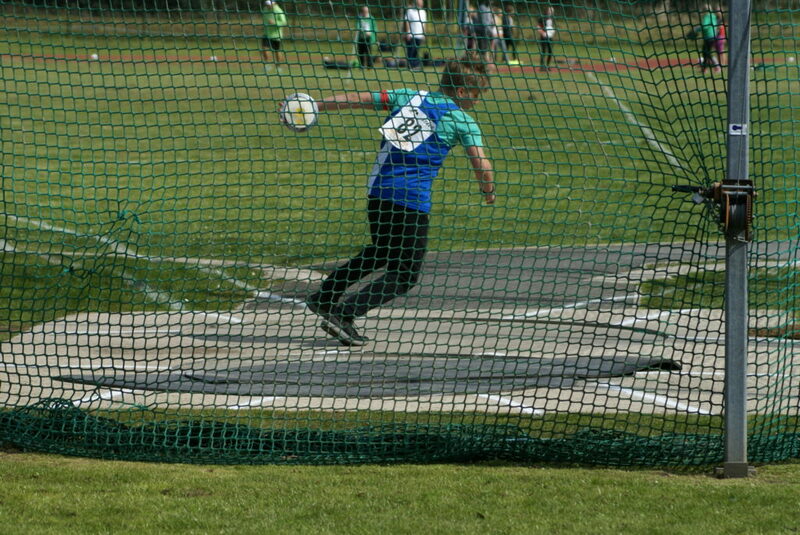 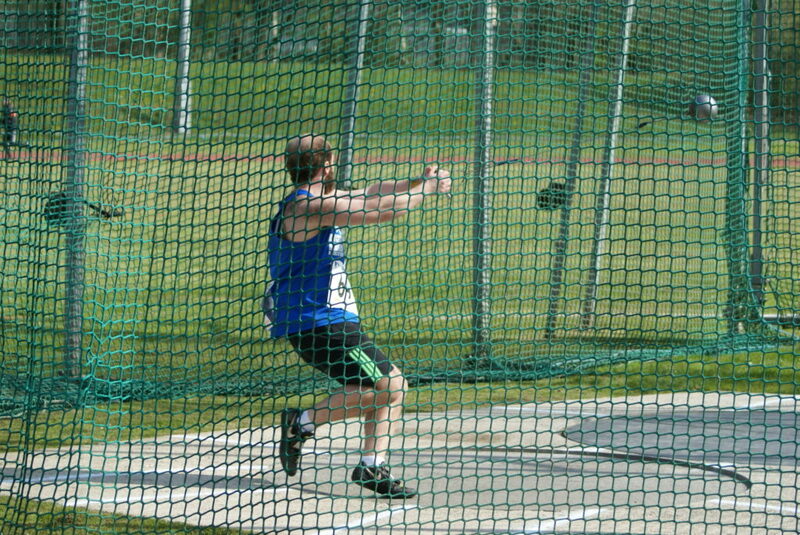 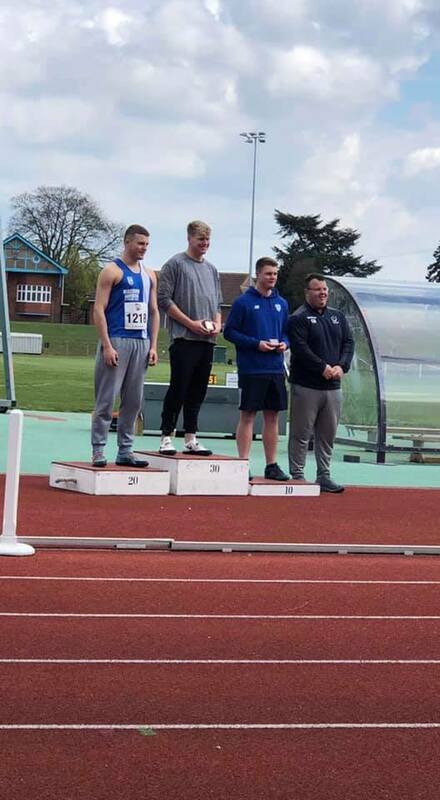 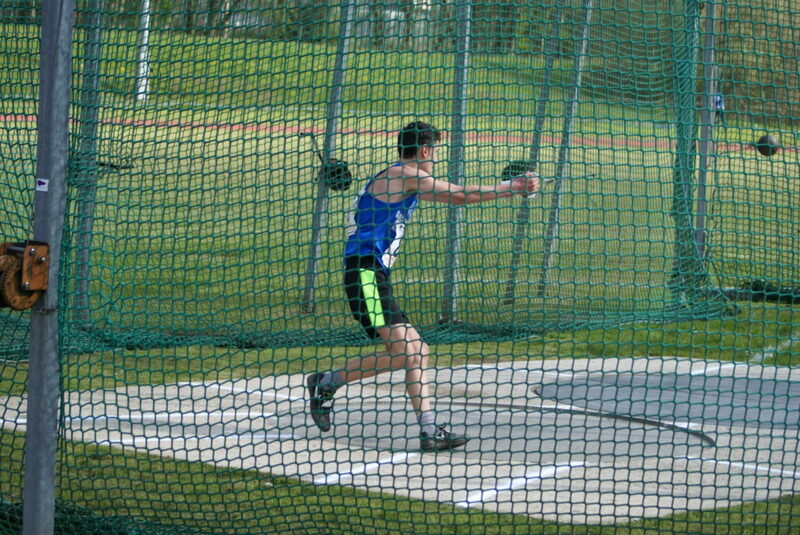 At Loughborough on Saturday April 13th – Alan Bertram Memorial Hammer Meeting – Sam opened up his season as a bottom of age U20 throwing the heavier weight of 6kg for the first time in competition – and what a good start – as he threw 61.97m to take 2nd place overall. 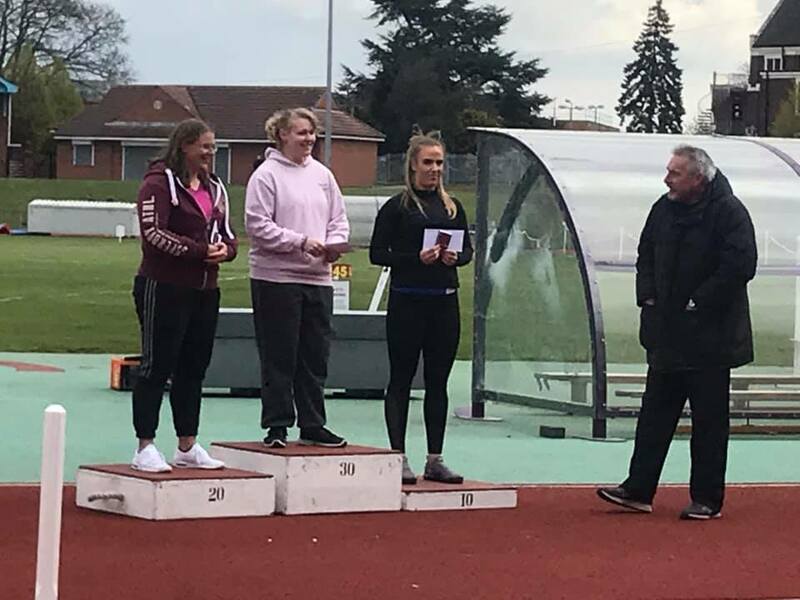 A mention too here for their Coach Michael Hitchon who has helped get Charlotte and Sam to this level and who puts in an unbelievable amount of time, not only with these two athletes, but also in trying to develop a new generation of Hammer Throwers. 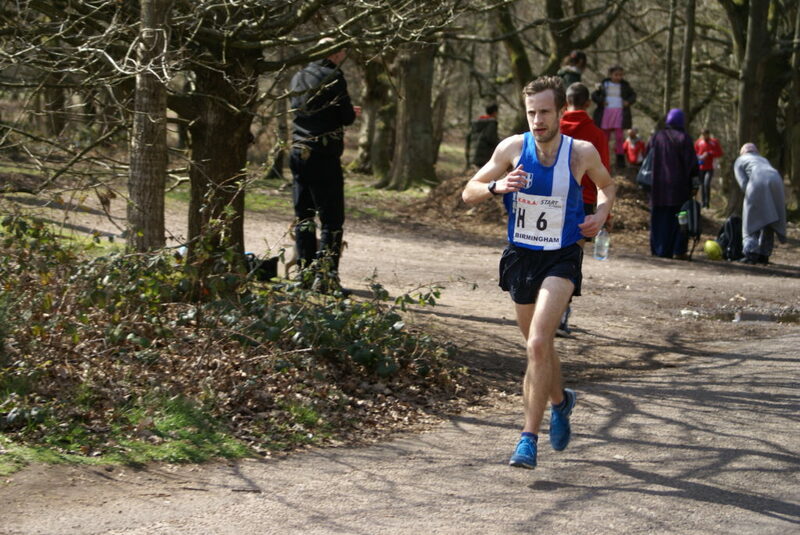 In terms of National Rankings at this very early stage in the season, Charlotte is in 2nd place with Sam in 3rd. 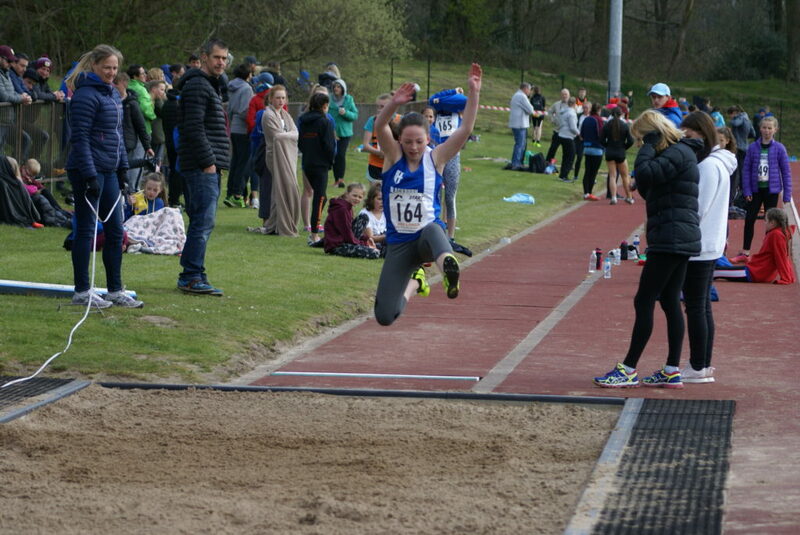 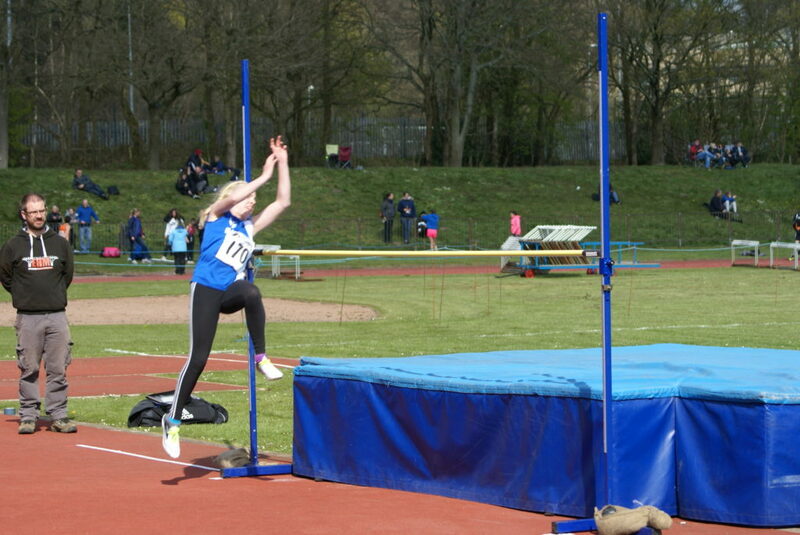 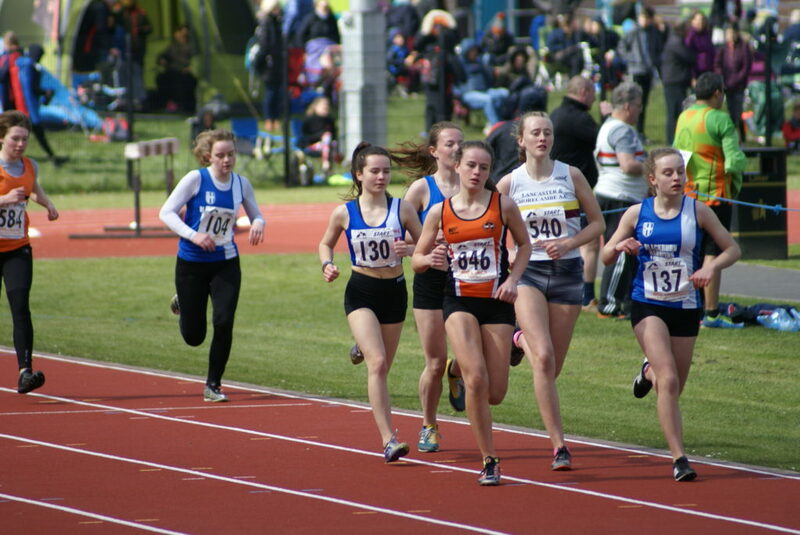 U17 Liberty Thompson took on the Inter-Girls Heptathlon at the Championships finishing 4th with a combined total of 2732 points – during the event she set a new PB in the High Jump of 1.47m, set another one in the Shot Putt (3kg) with a distance of 8.68m and added another 40 points to her overall total (RESULTS). 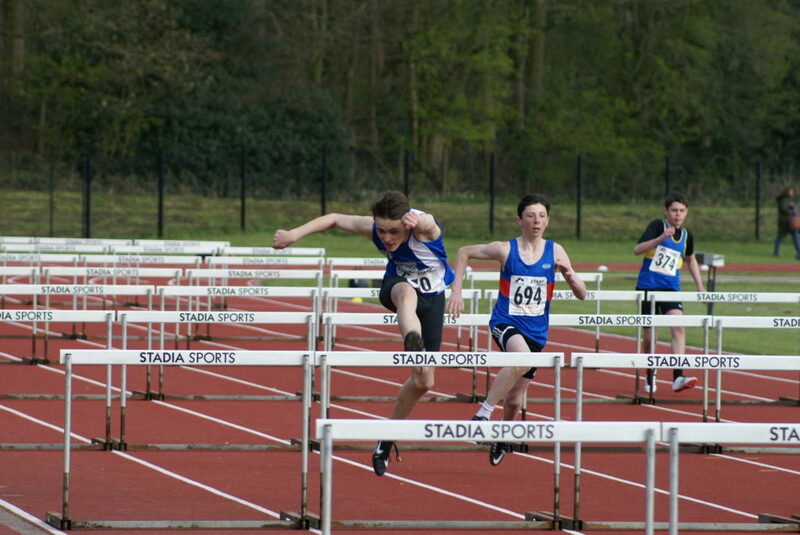 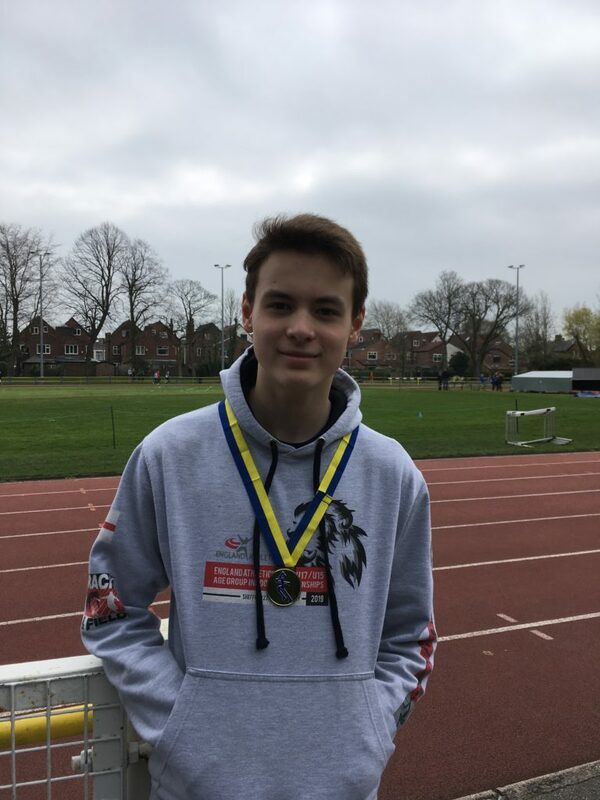 Rory Teare (U15) competed in the Junior Boys Pentathlon finishing 4th out of 5 athletes contesting the event with a combined total of 1627 points. 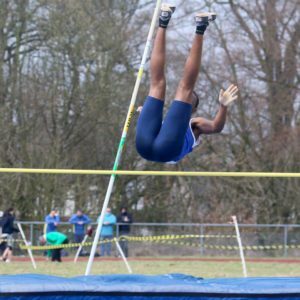 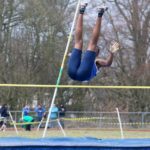 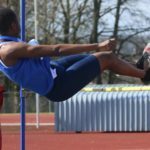 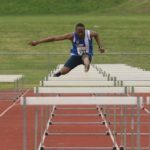 During the day he posted a new 800m PB of 2.42.7 – an improvement of 13 seconds, added 9cms to her his High Jump which he won, clearing 1.59m for a new PB, just missed a new personal best in the Long Jump with a leap of 4.34m, added over a metre to his Shot Putt (4kg) with a throw of 6.57m for yet another new PB, all of which was good enough to secure a Lancashire Vest for him (RESULTS). 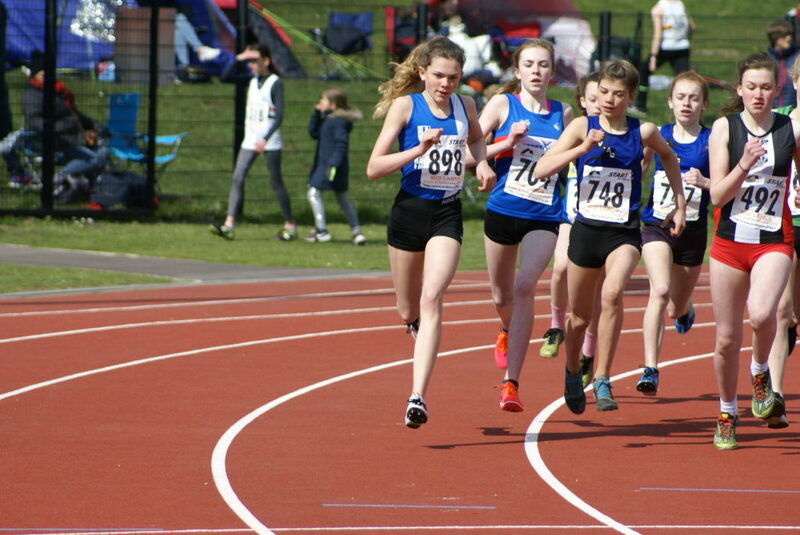 In the Junior Women’s Pentathlon it was Caroline Woodworth who represented the Harriers finishing in 5th place out of the 7 athletes entered with a combined points total of 1434. 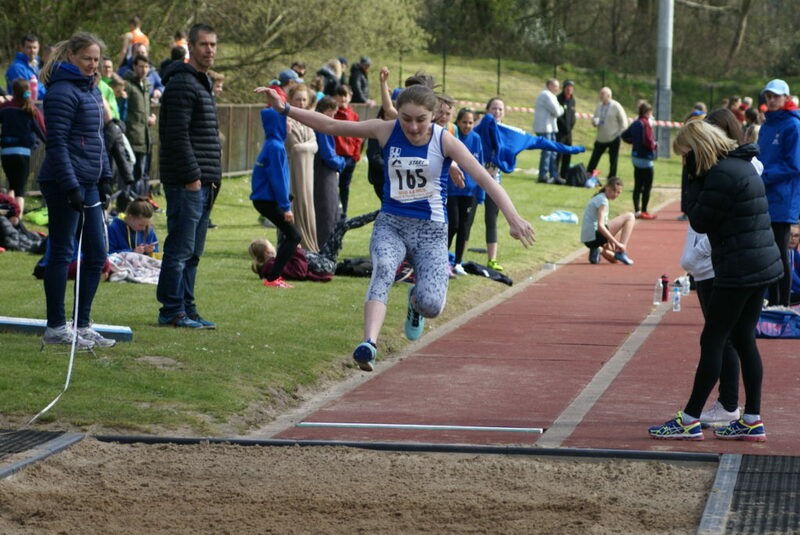 Caroline was trying some of these events for the first time ever – clearing 1.17m in the High Jump, 3.10m in the Long Jump, throwing the 3kg Shot Putt for the first time with a distance of 6.72m, running 17.8 in the 75m Hurdles, another event she hasn’t done before and rounding the day off with a time of 2.47.3 in her 800m (RESULTS). 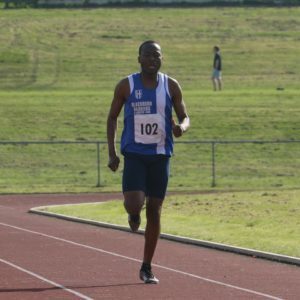 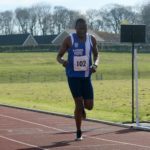 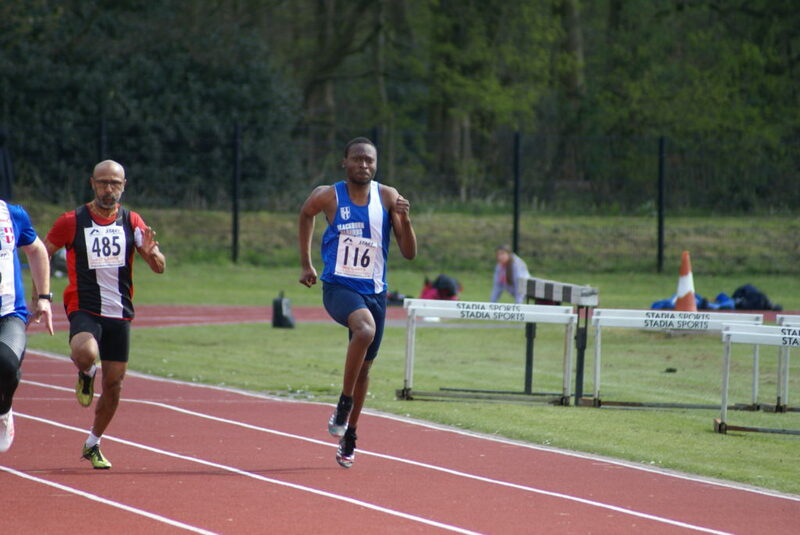 John iLunga competed in the Senior Men’s Decathlon which featured just two athletesalong with Tom Godwin of Blackpool. 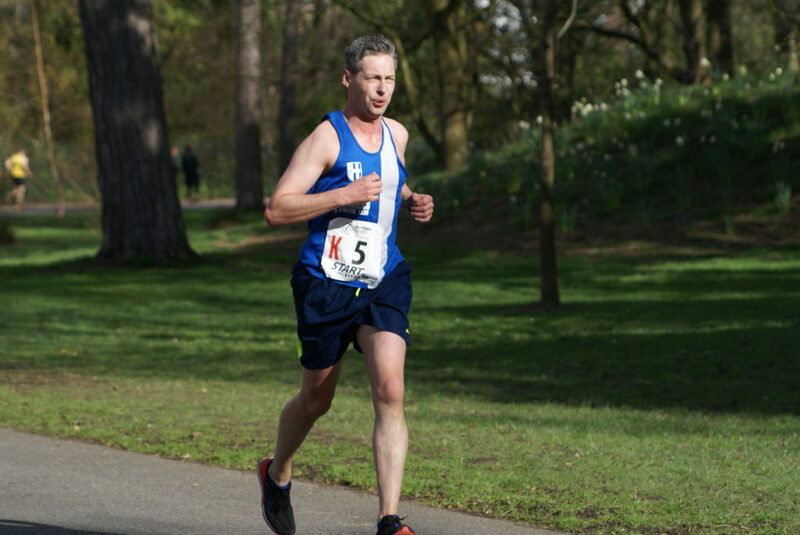 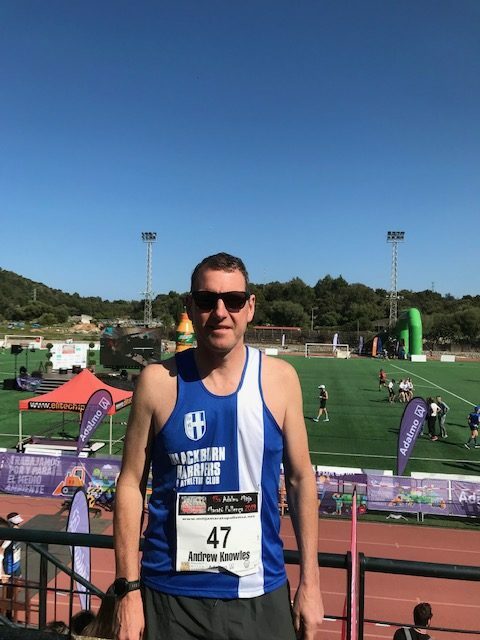 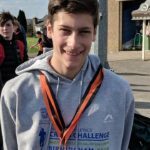 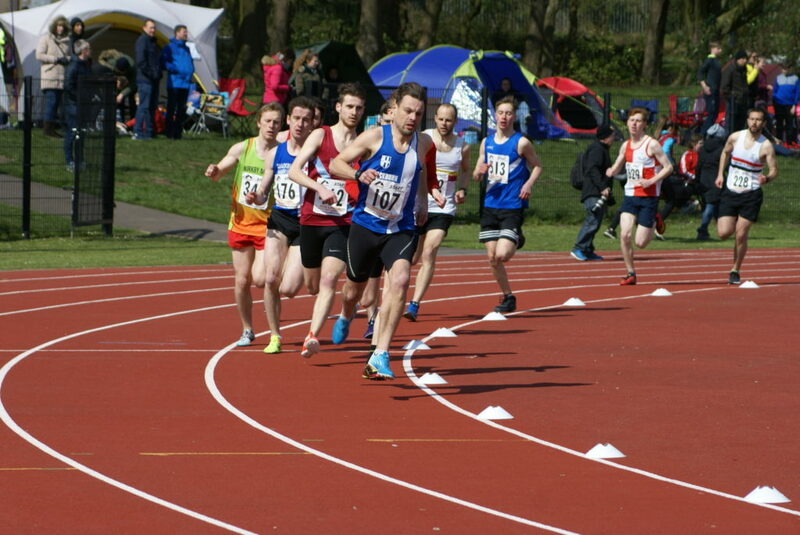 The ten events saw John run 13.1 in the 100m; a new PB of 61.6 in the 400m; clocked 5.57.8 in the 1500m; ran 21.3 in the 110m Hurdles; cleared 1.59m in the High Jump; 4.86m in the Long Jump; 1.60m in the Pole Vault; threw 7.43m in the Shot Putt; set a new PB of 23.74m in the Discus and finished with a throw of 18.20m in the Javelin for a combined total of 2975 points – an improvement of 160 points (RESULTS). 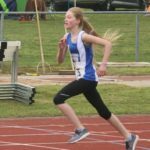 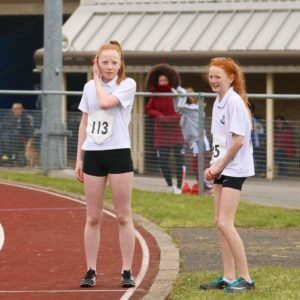 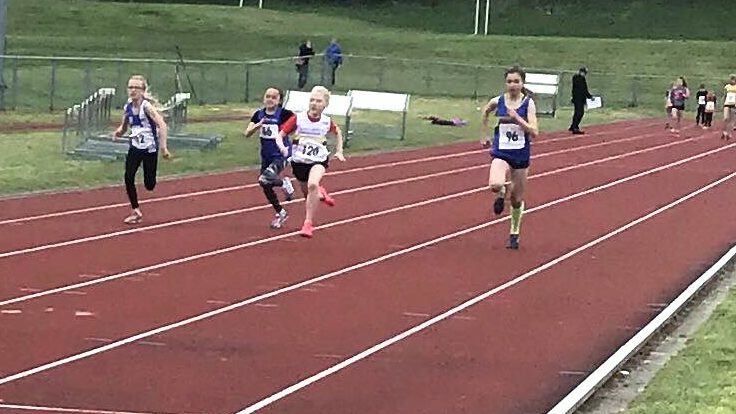 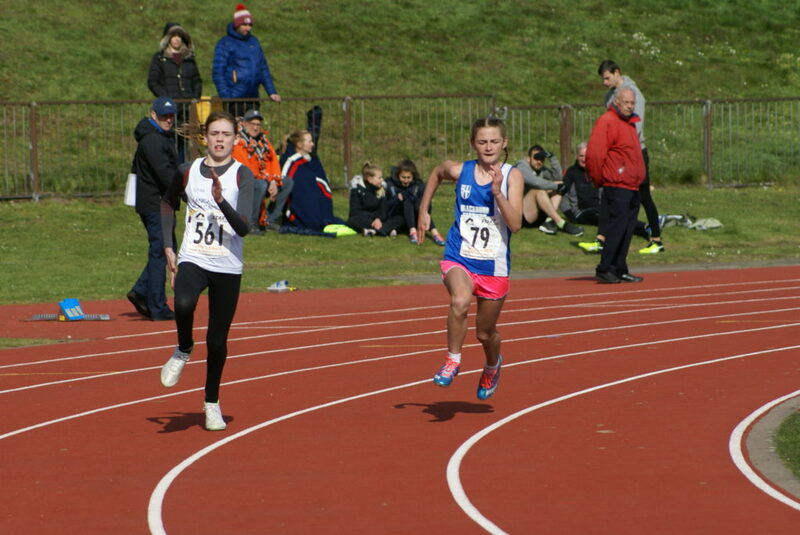 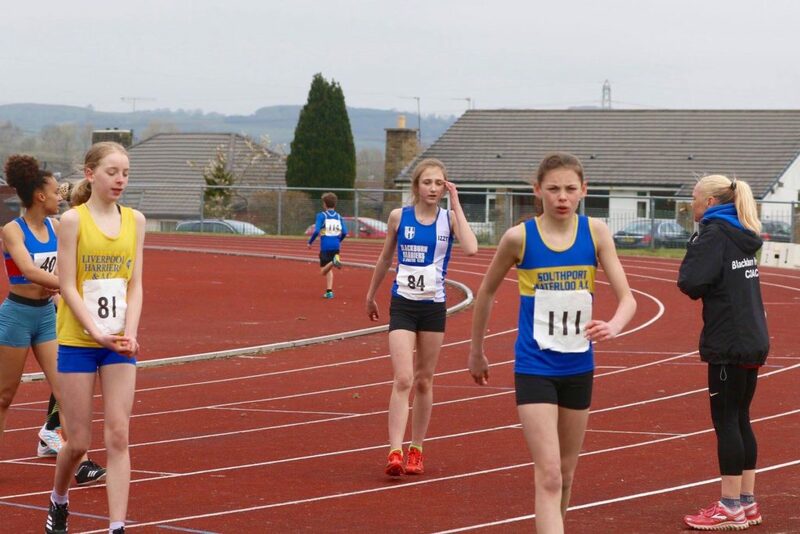 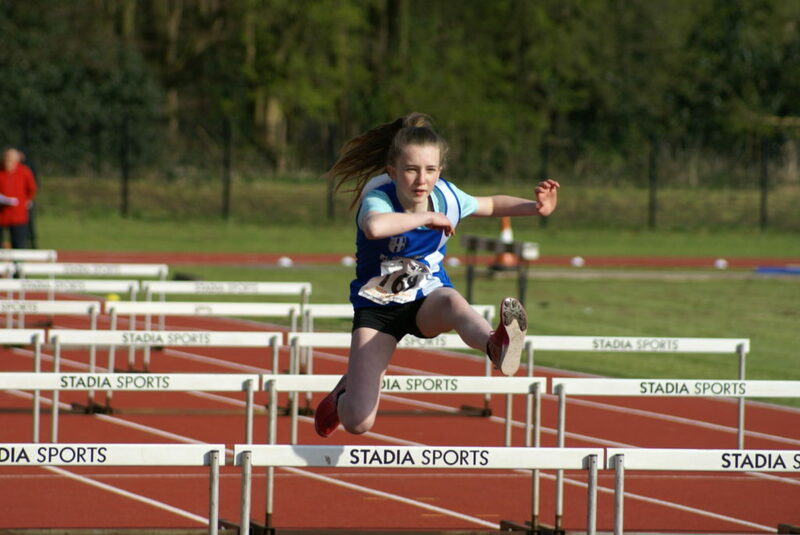 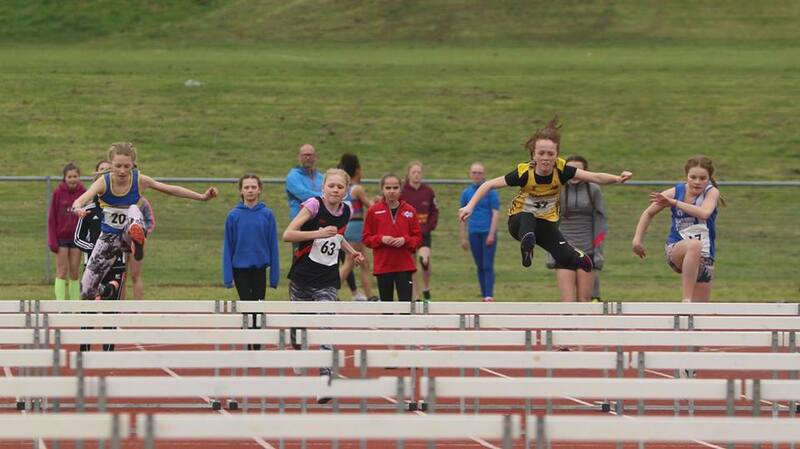 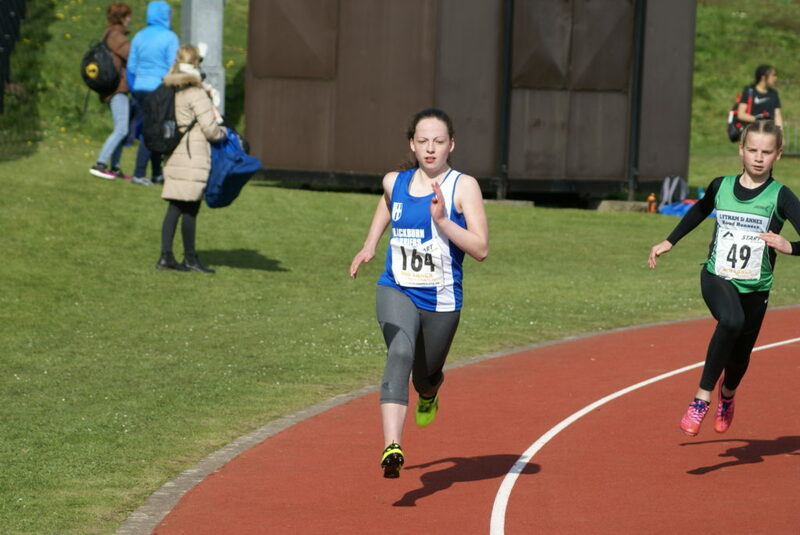 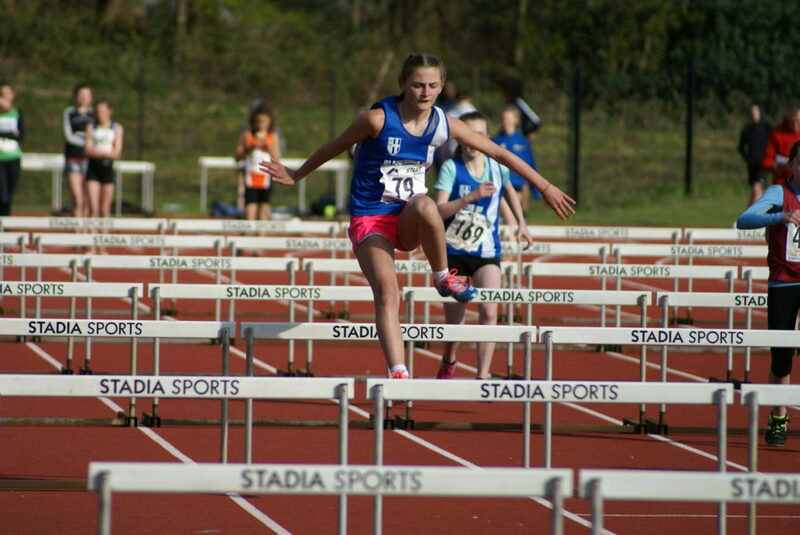 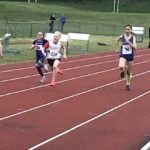 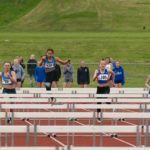 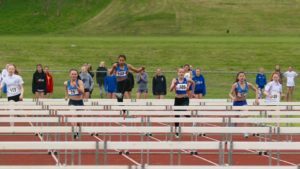 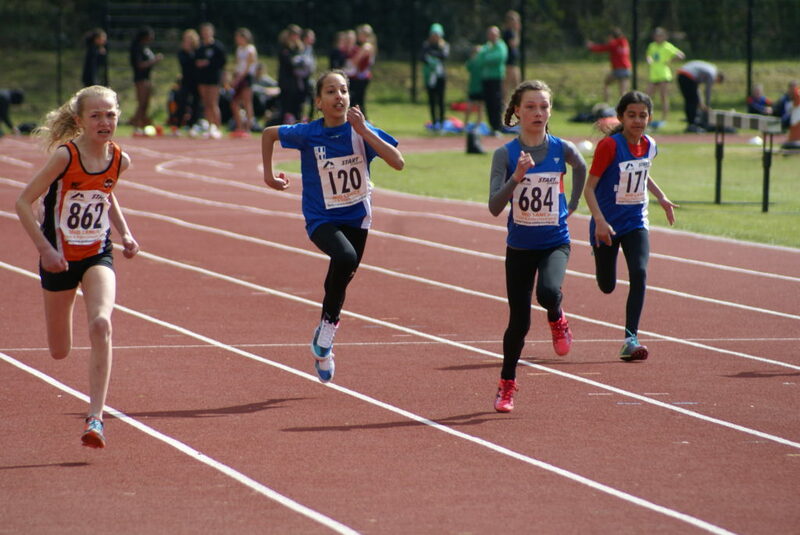 The U13 Girls Pentathlon saw Kady Thompson and Isabelle Hartley competing, with Isabelle clocking 3.01.5 (800m); ran a new PB of 13.7 in the 70m Hurdles; cleared 1.14m in the High Jump – the first time she has attempted the event; set a new PB in the Long Jump (3.03m) and threw 5.71m in the Shot Putt, another event being taken on for the first time and in the end amassing 1395 points. 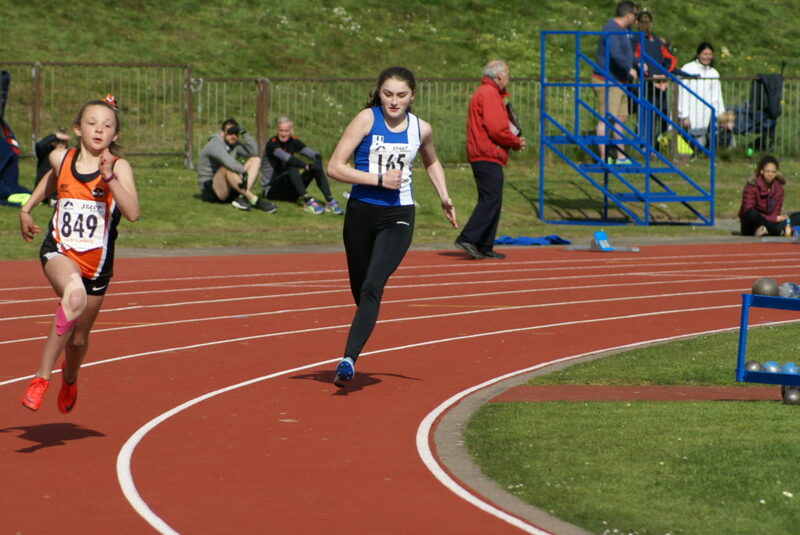 Kady ran 3.19 in her 800m; 16.2 in her 70m Hurdles for a new PB; cleared 1.17m in the High Jump; jumped 2.86m (Long Jump) and in her first attempt at the Shot Putt, threw 4.85m (RESULTS). 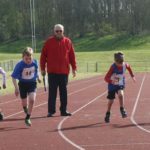 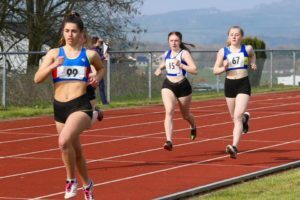 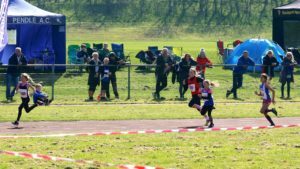 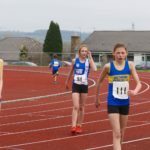 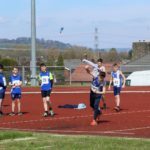 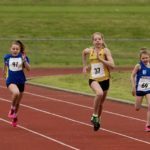 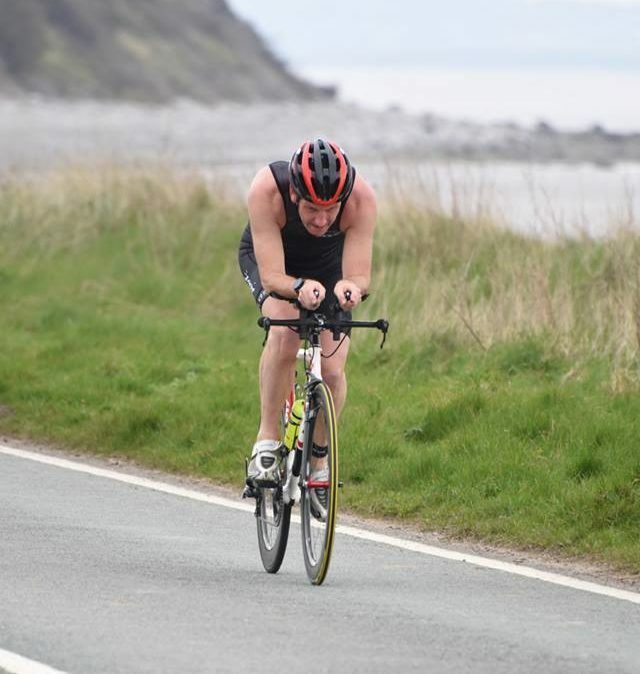 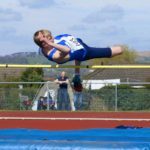 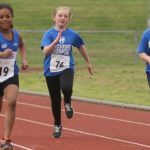 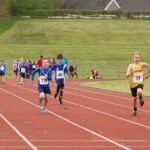 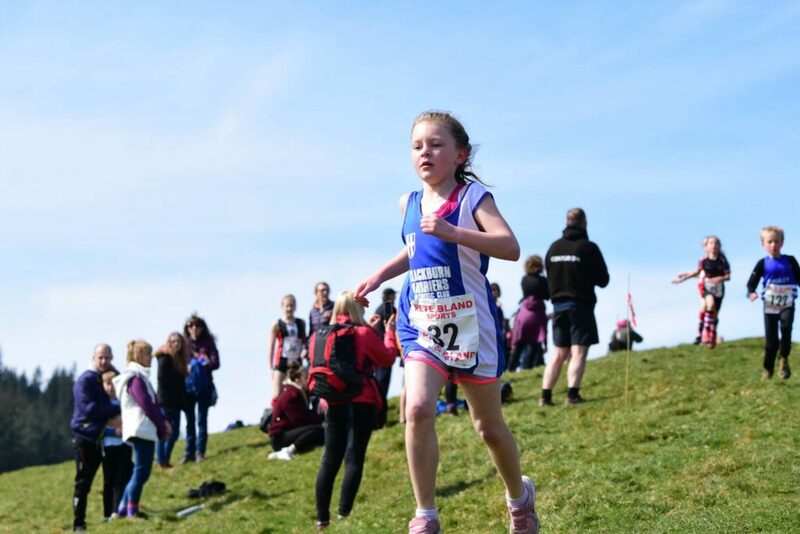 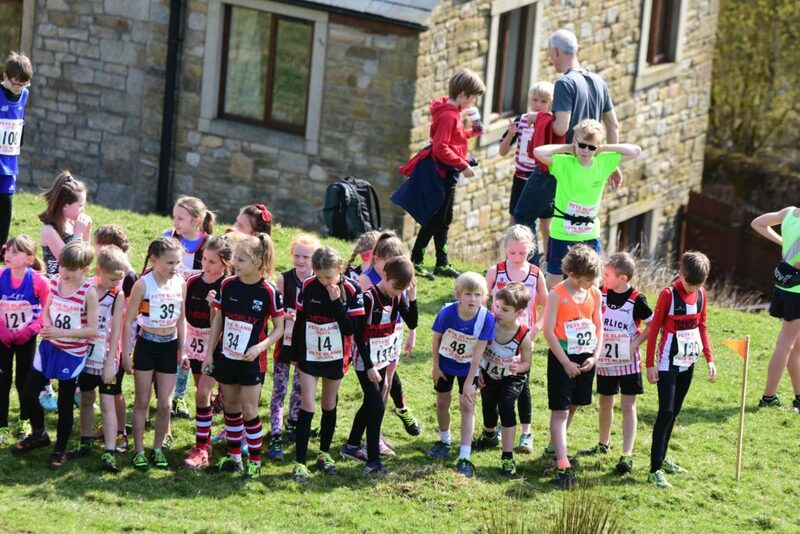 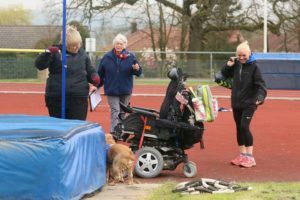 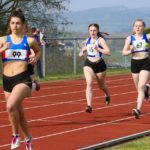 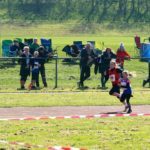 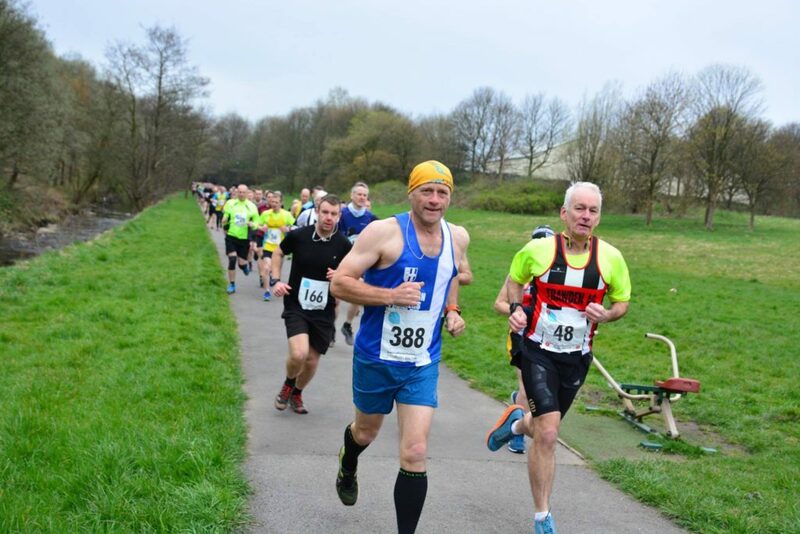 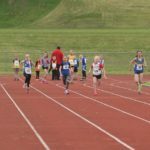 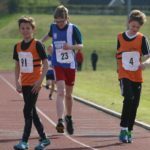 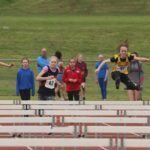 The Quadrathon – covering Years 3/4 – 5/6 – 7/8 – takes place on the same weekend as the Combined Events Championships and at the same venue – Wilson Playing Fields, Hyndburn. 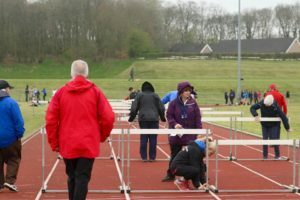 Many thanks to all the Officials who gave up their weekend to attend both days and ensure that the competitons went ahead. We keep saying it on this site, but without our Officials, who are unpaid volunteers, there won’t be any competions being held anywhere. 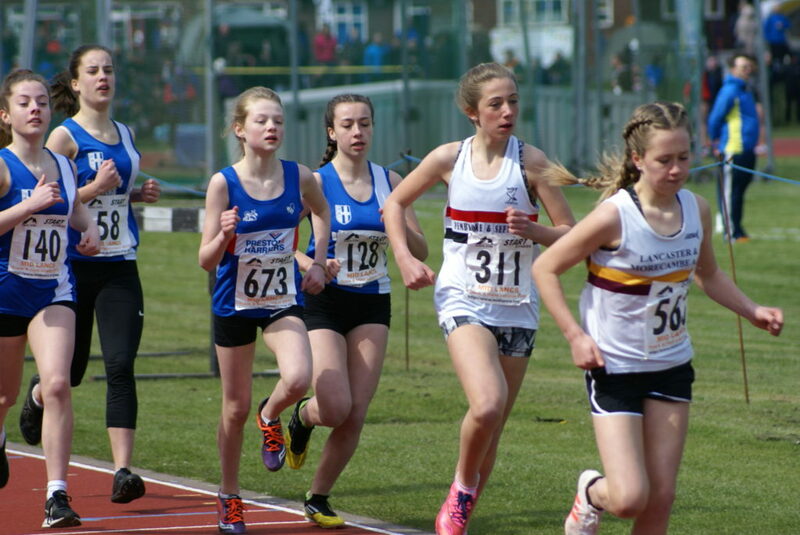 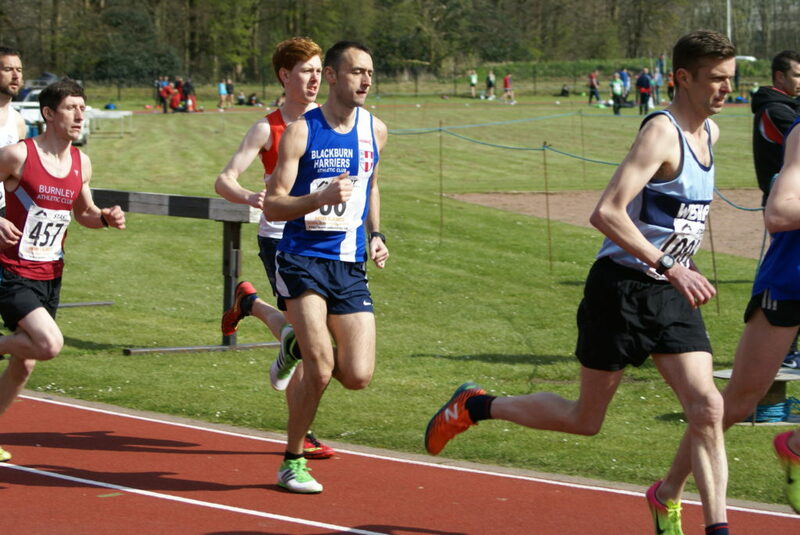 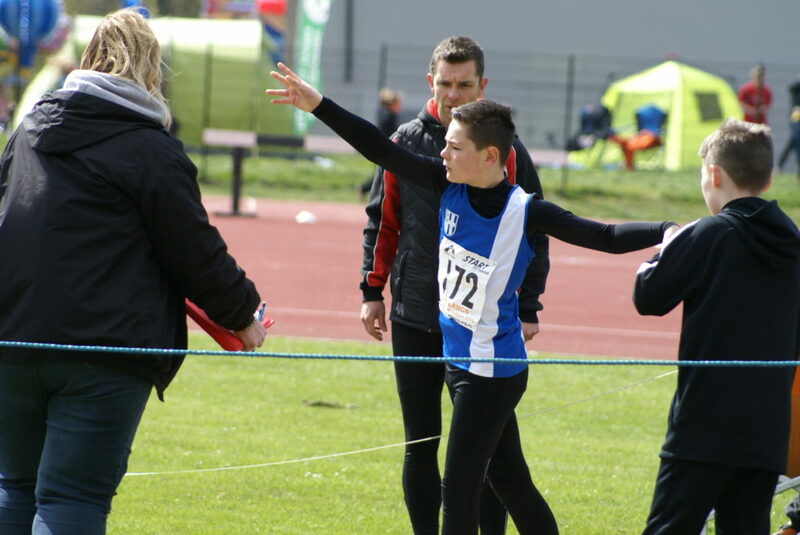 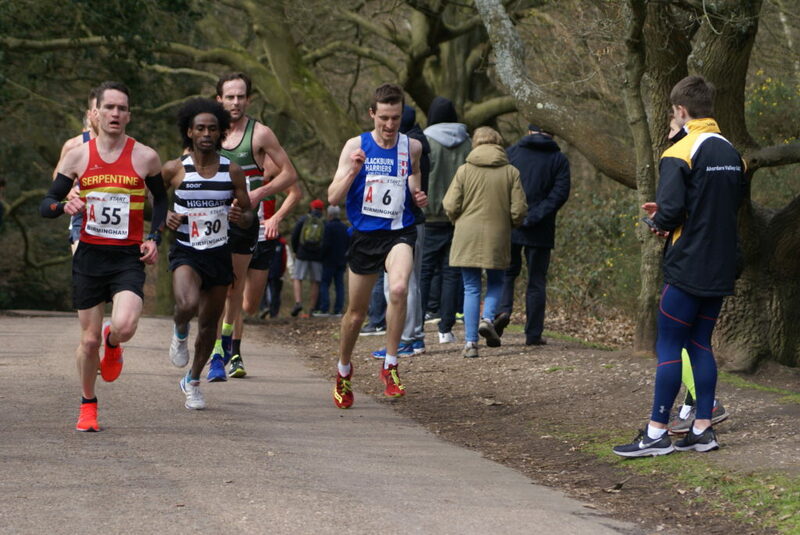 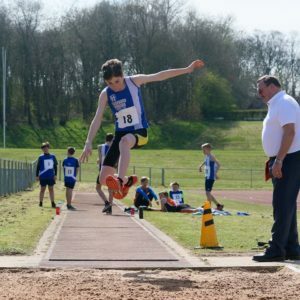 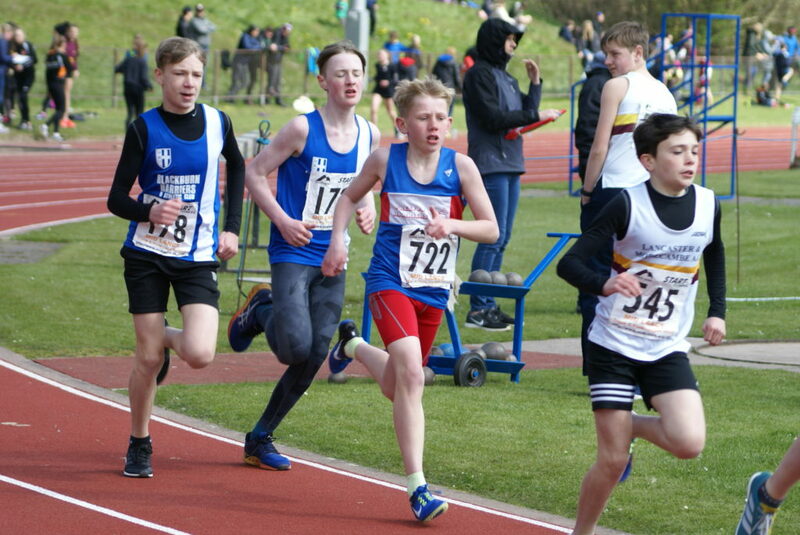 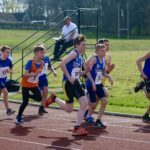 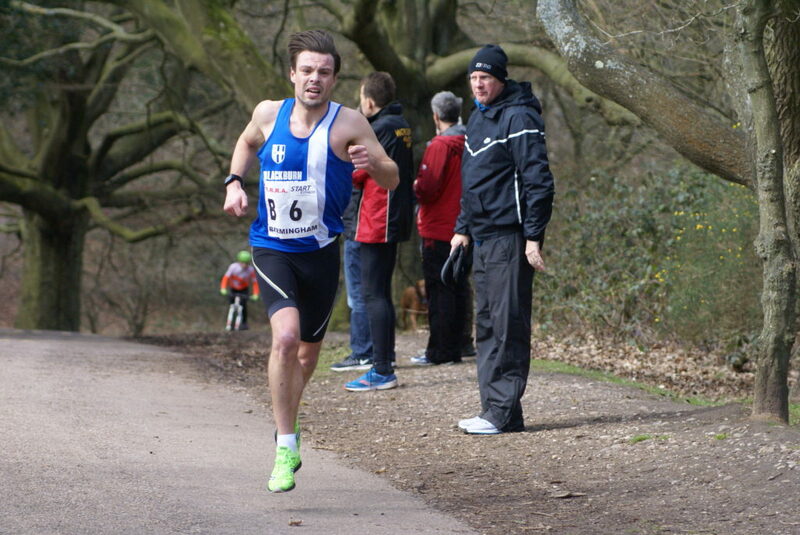 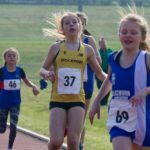 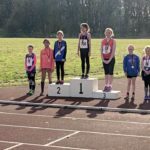 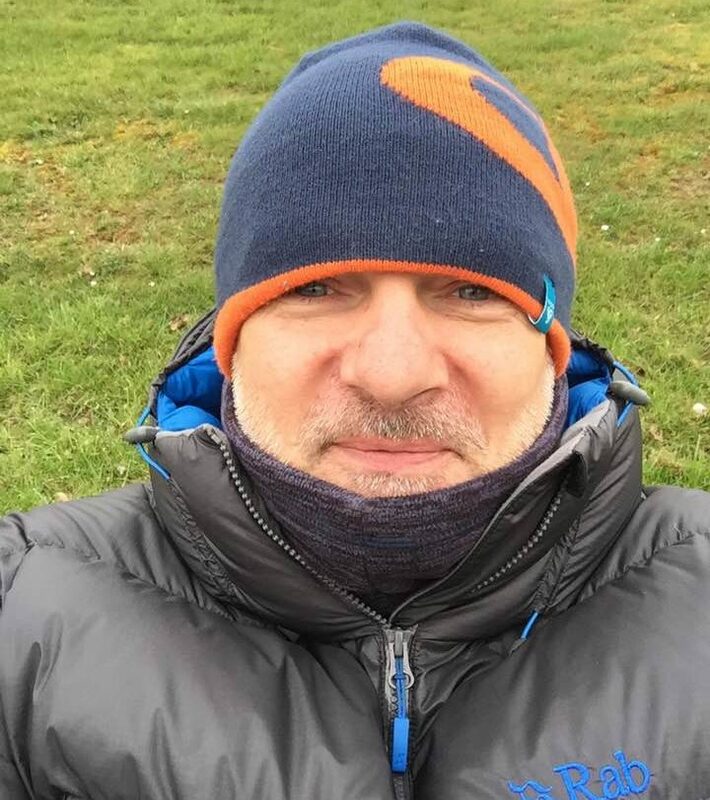 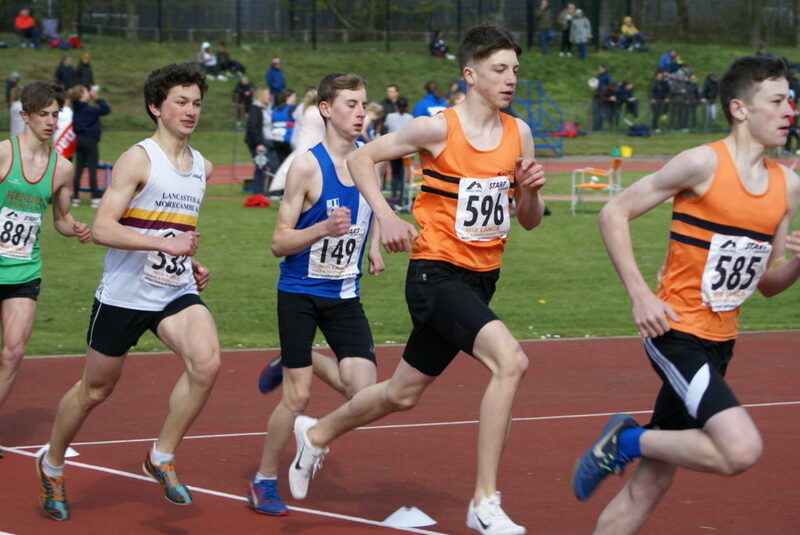 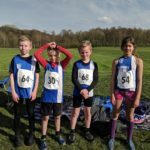 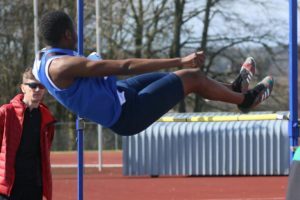 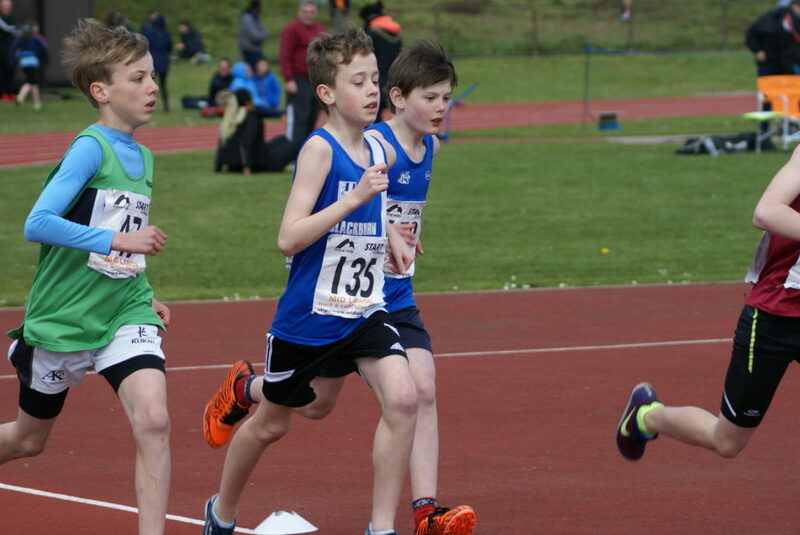 SO ANOTHER SHOUTOUT to all those parents out there who come to the events to watch, why not have a go at becoming an Official – it is very rewarding to be part of something, the sport of athletics, which provides such a massive opportunity for youngsters to grow and develop. 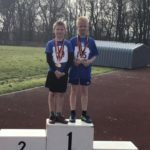 Year 3 & 4 Boys (Saturday) had three Blackburn and one Pendle lad involved over 50m, Vortex, Standing Long Jump and 400m. 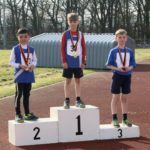 Liam Bentham was the overall winner with 152 points, with Frank Johnson in 3rd and Ansh Nama in 4th (RESULTS) —- Year 3 & 4 Boys (Sunday) saw Alex McKinlay finish 2nd out of 5 youngsters with a total of 127 points in the Year 3 event and Alex Burns winning the Year 4 event with a total of 145 points (RESULTS). 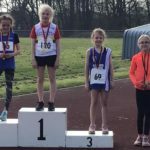 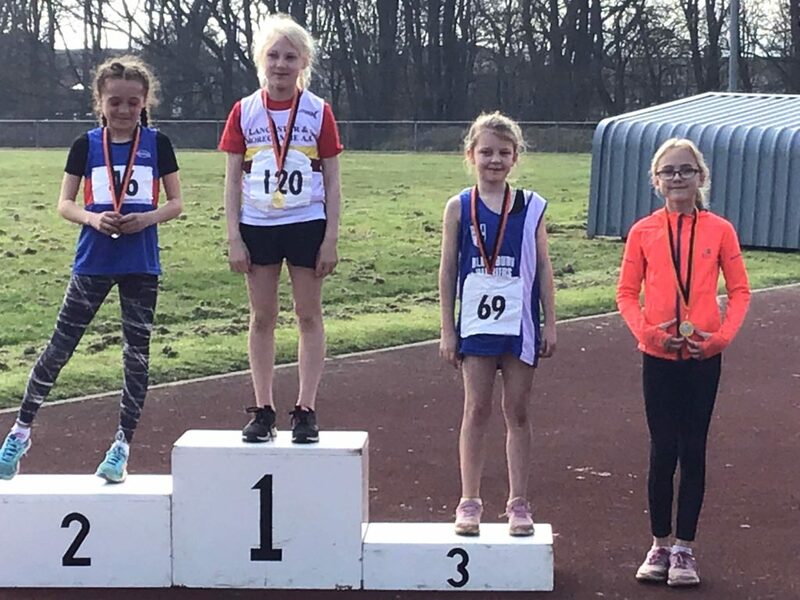 Year 3 & 4 Girls (Saturday) had Girls overall with Lulu Sharp finishing 4th out of 5 in the Year 4 event with 135 points (RESULTS) —- and on Sunday Emelia Stockton and Charlie Capstick finished 2nd (96 points) and 3rd (70 points) respectively (RESULTS). Year 5 & 6 Boys competition includes 75m; Vortex; Standing Long Jump and 600m. 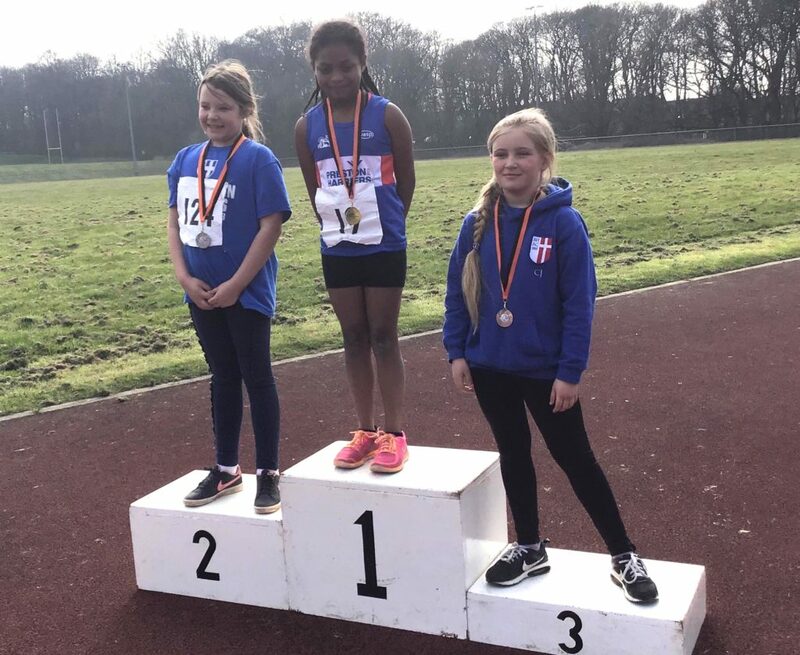 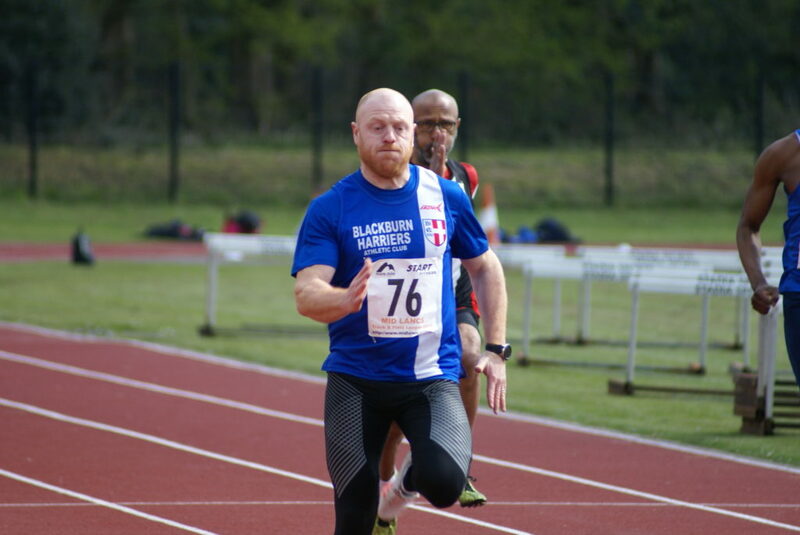 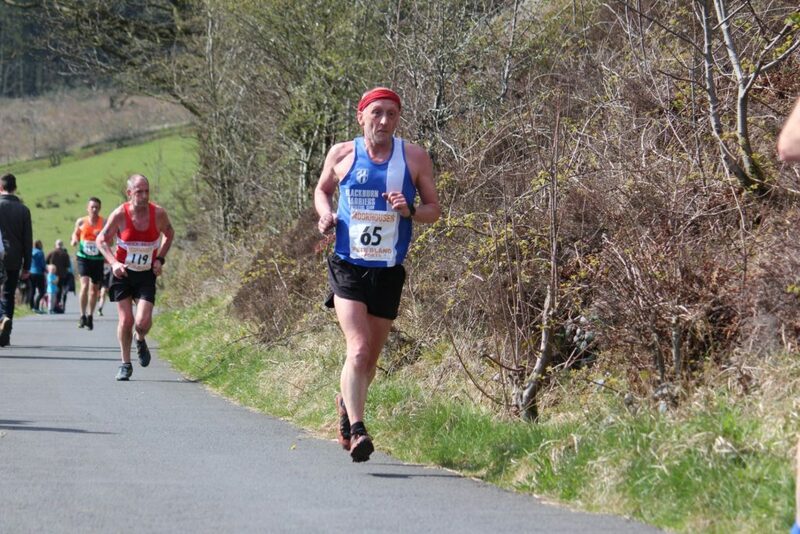 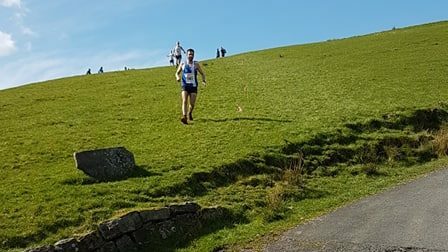 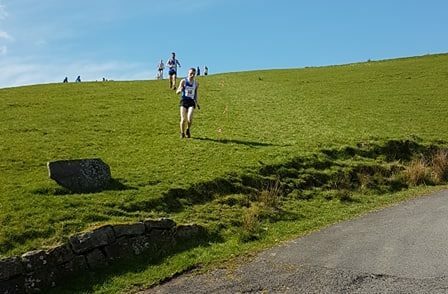 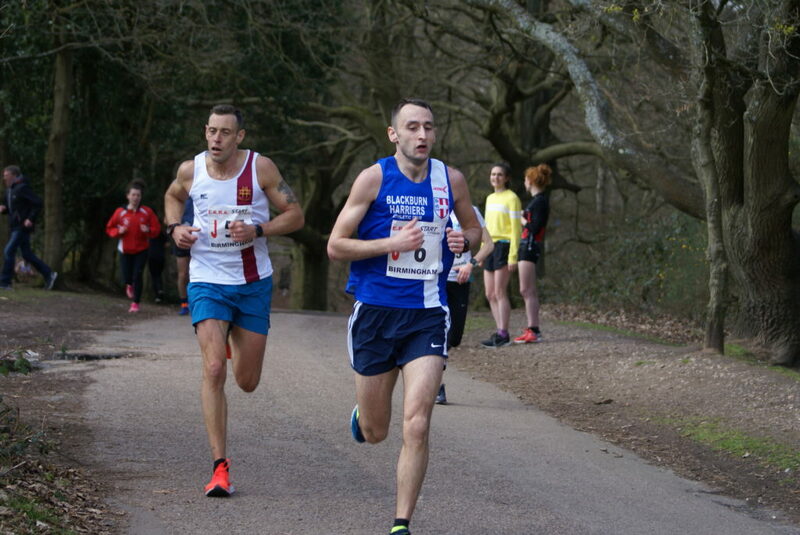 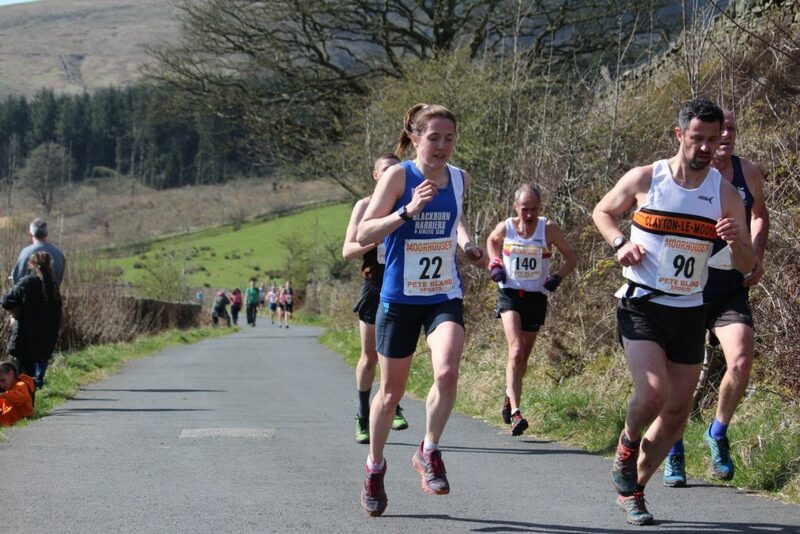 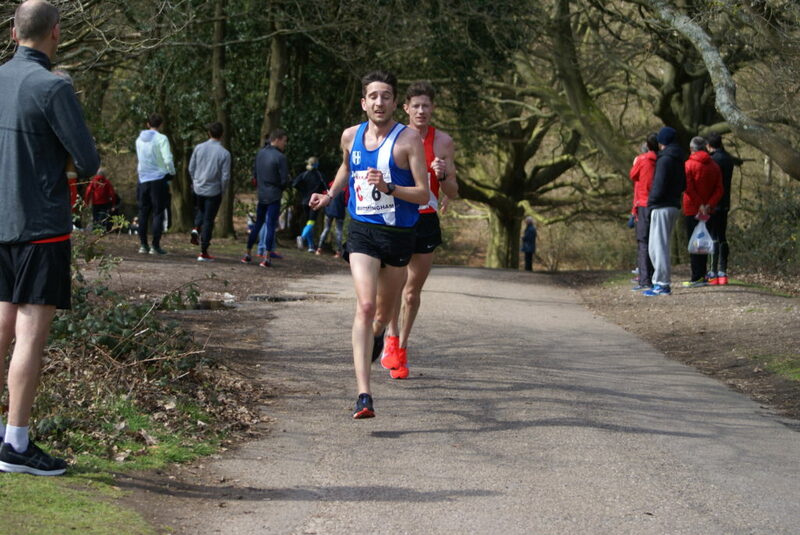 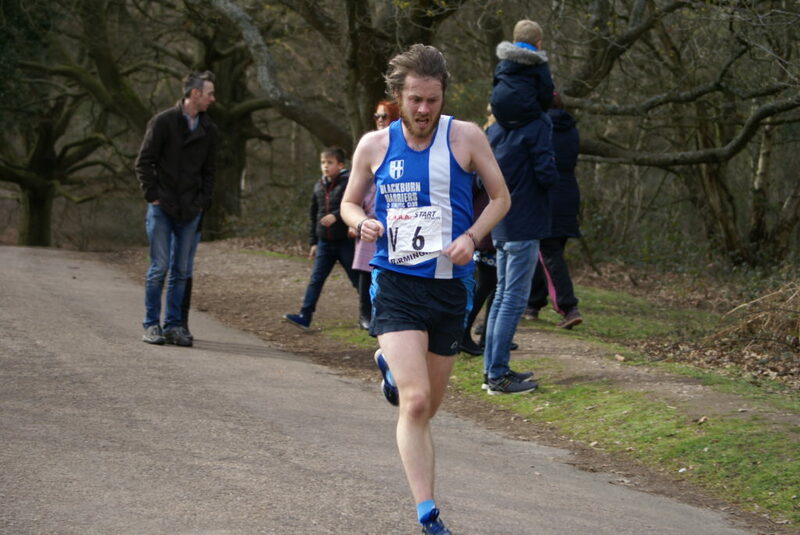 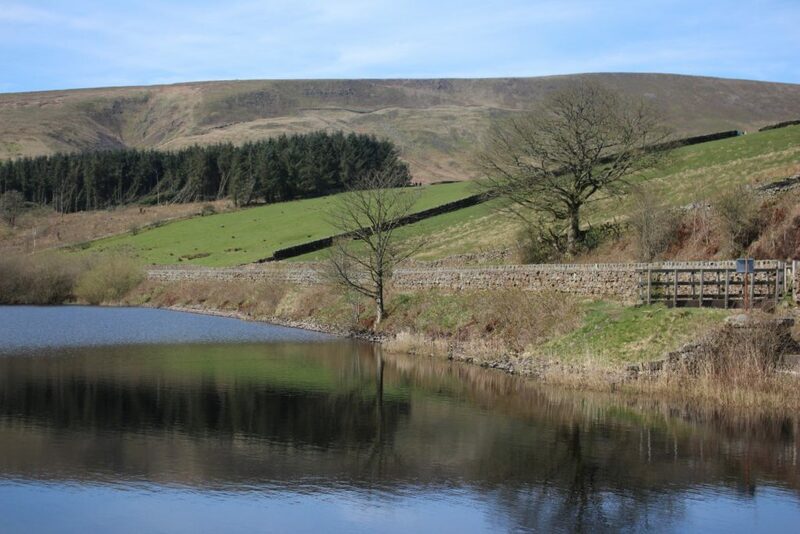 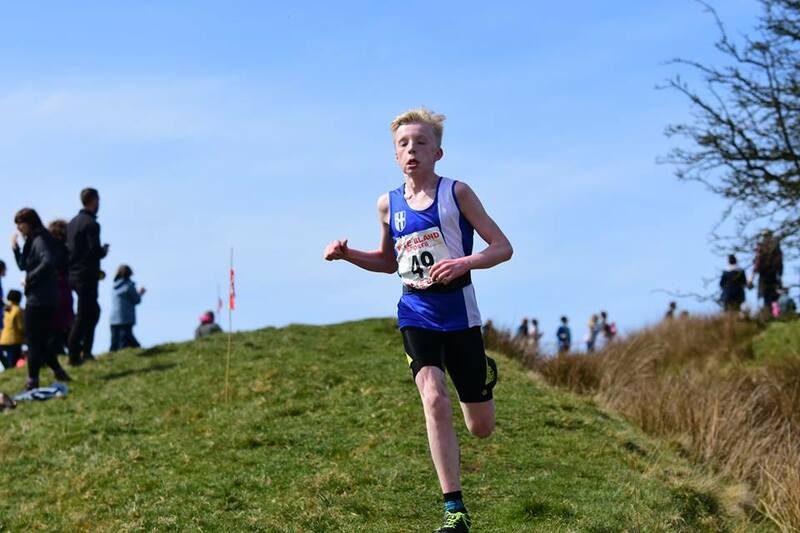 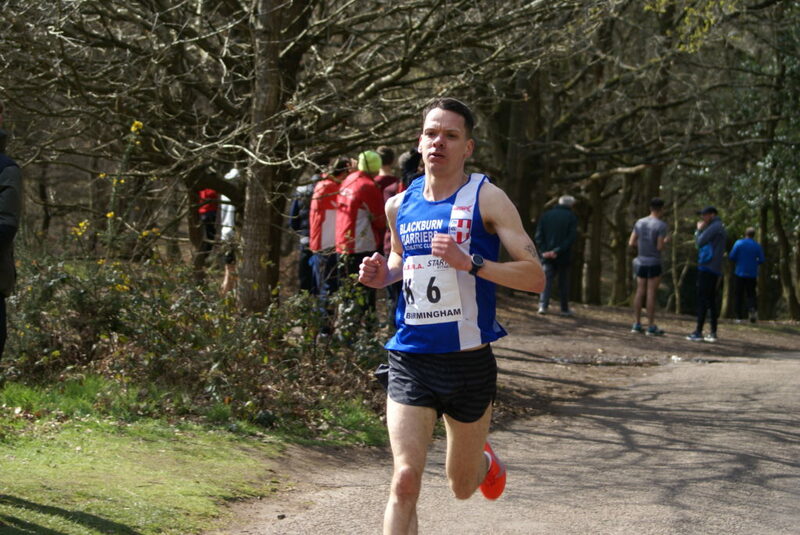 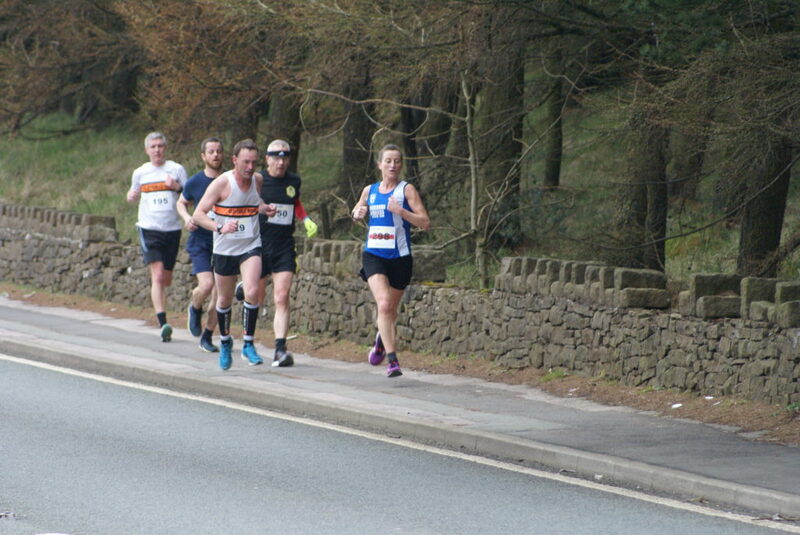 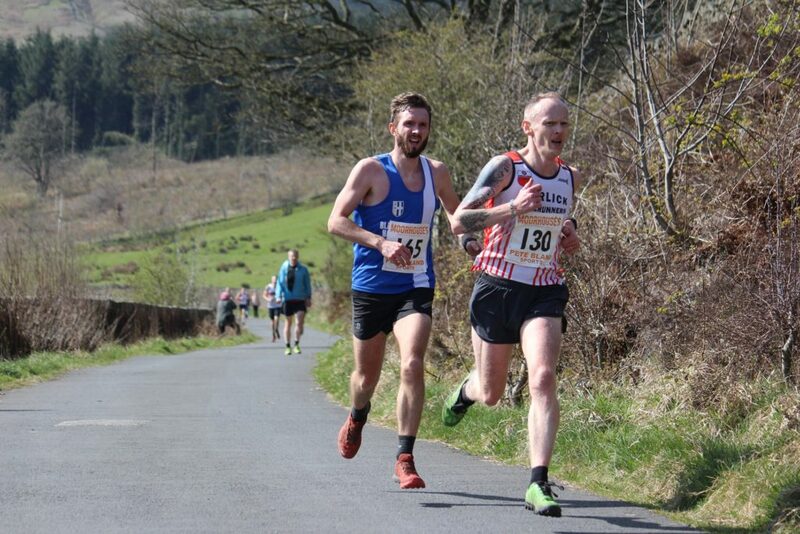 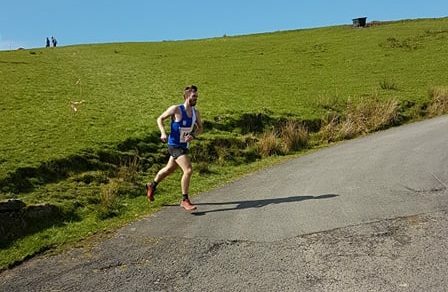 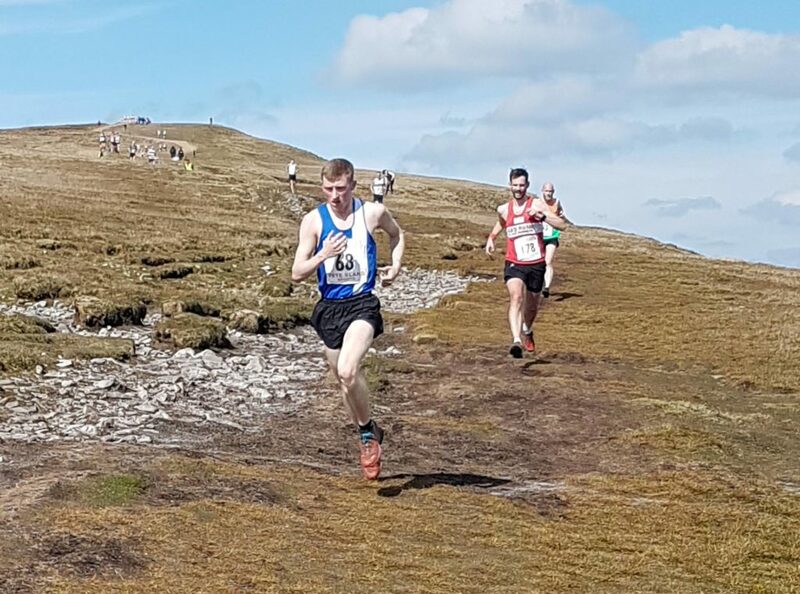 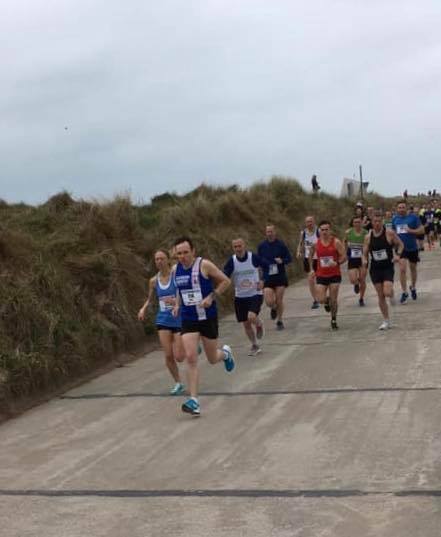 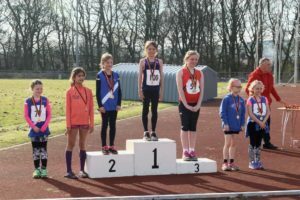 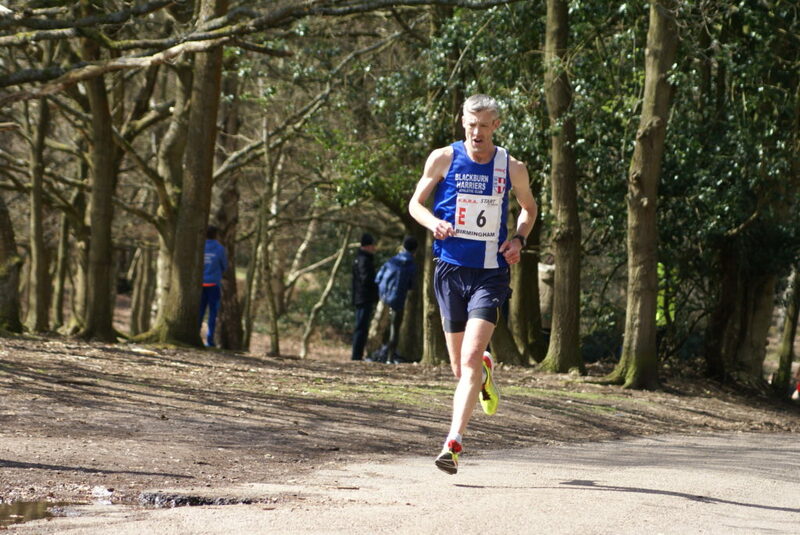 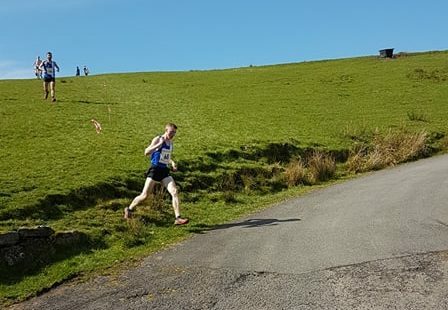 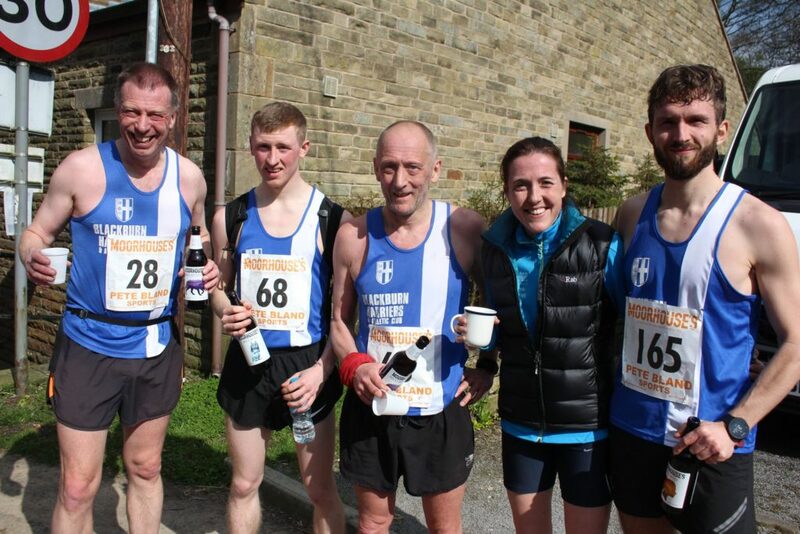 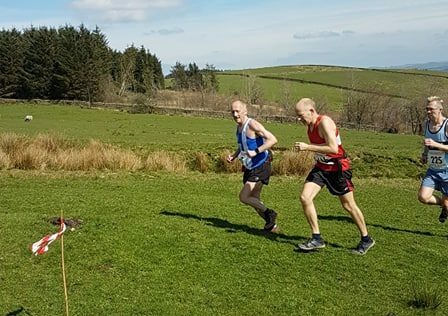 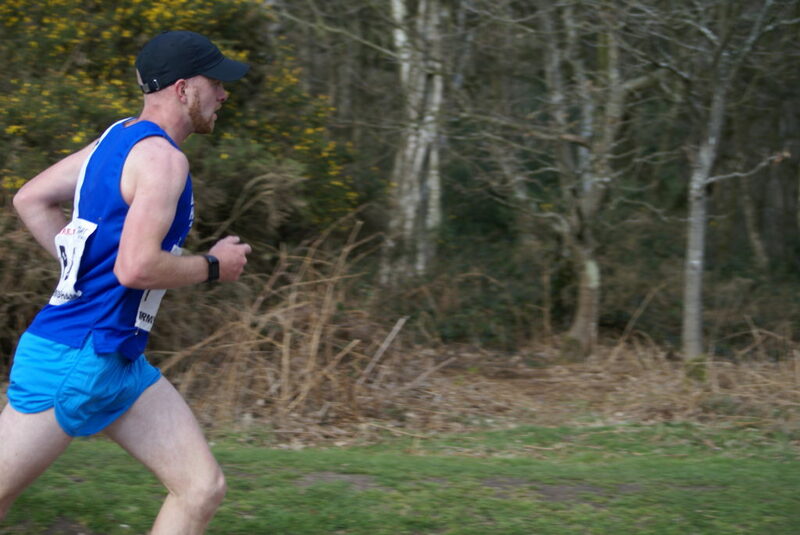 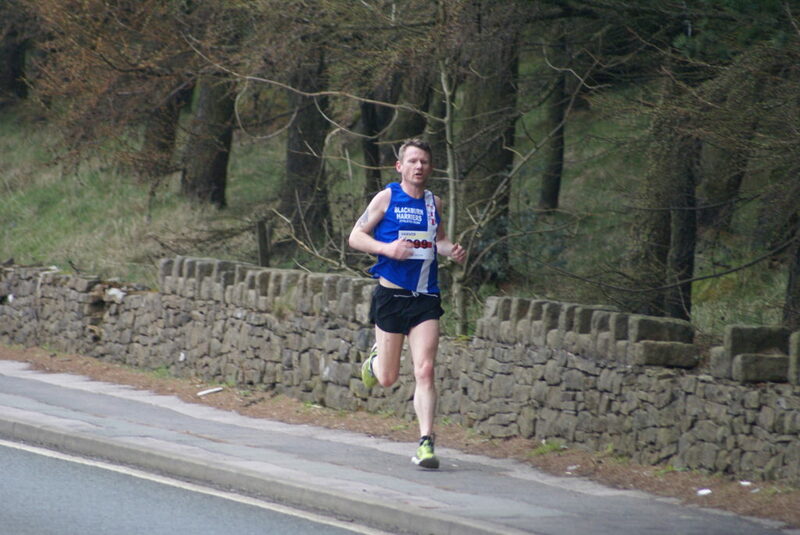 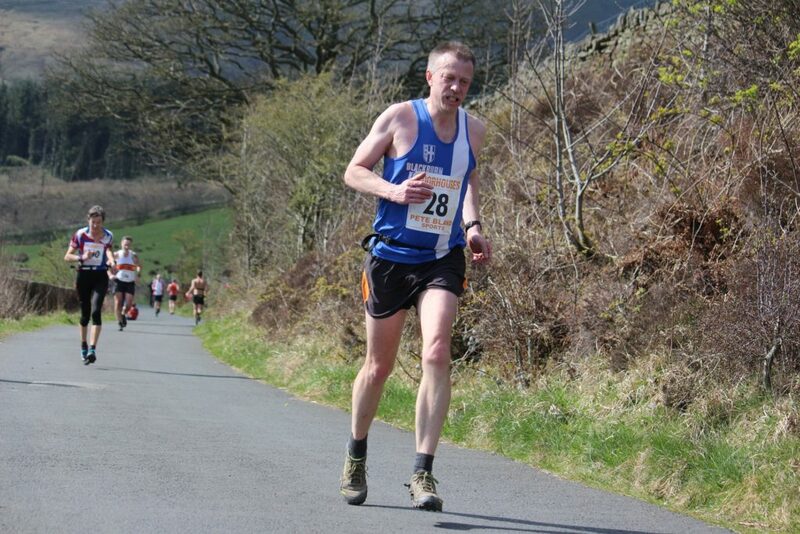 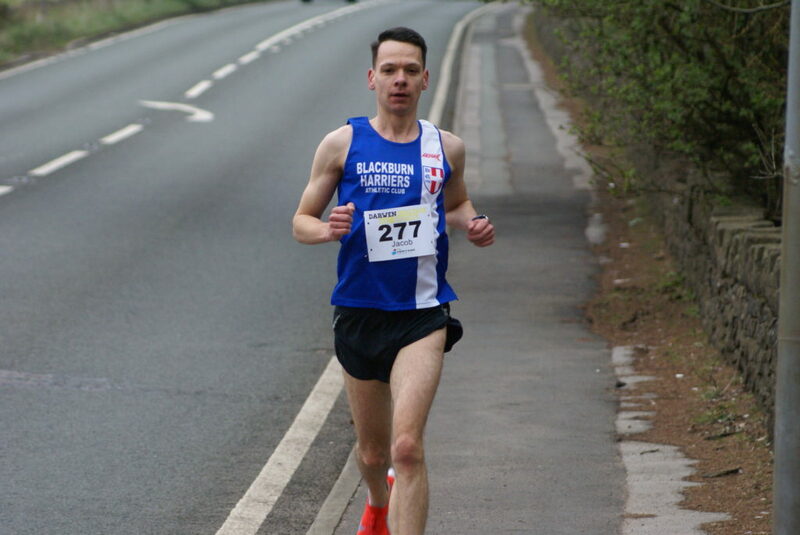 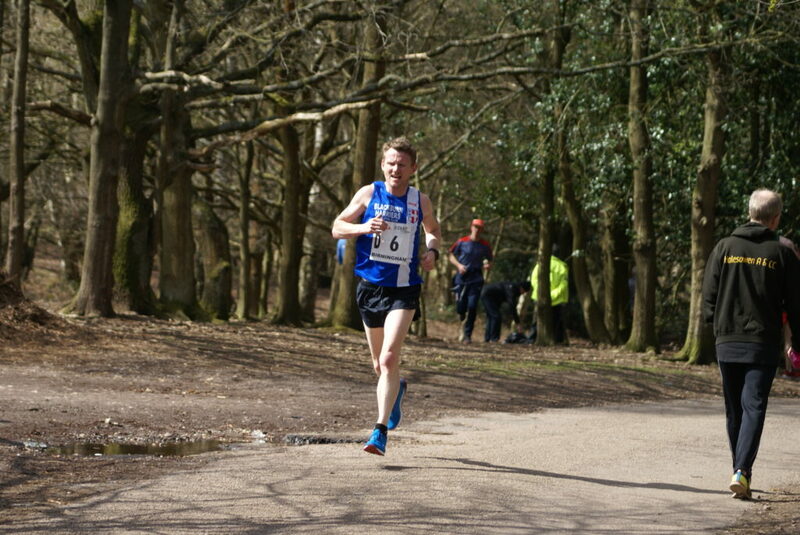 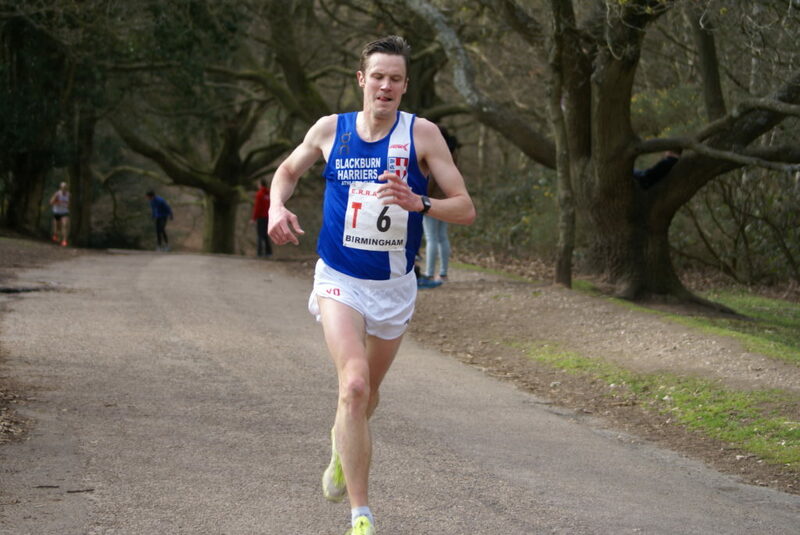 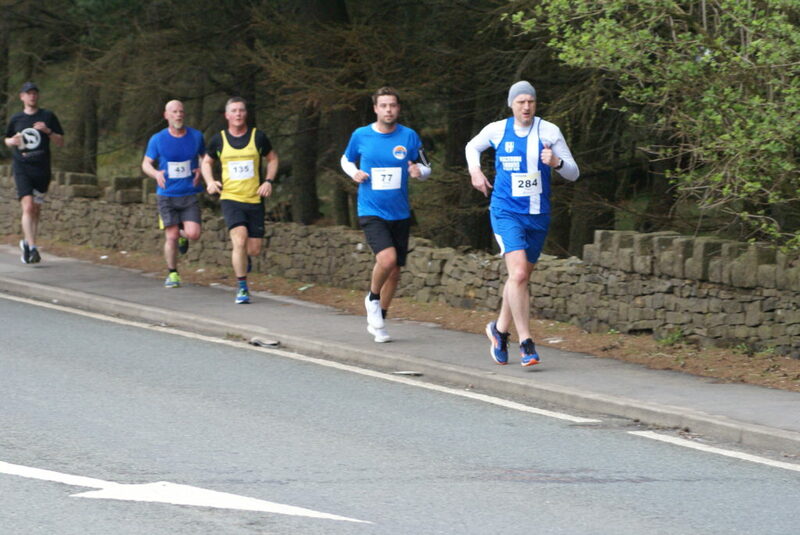 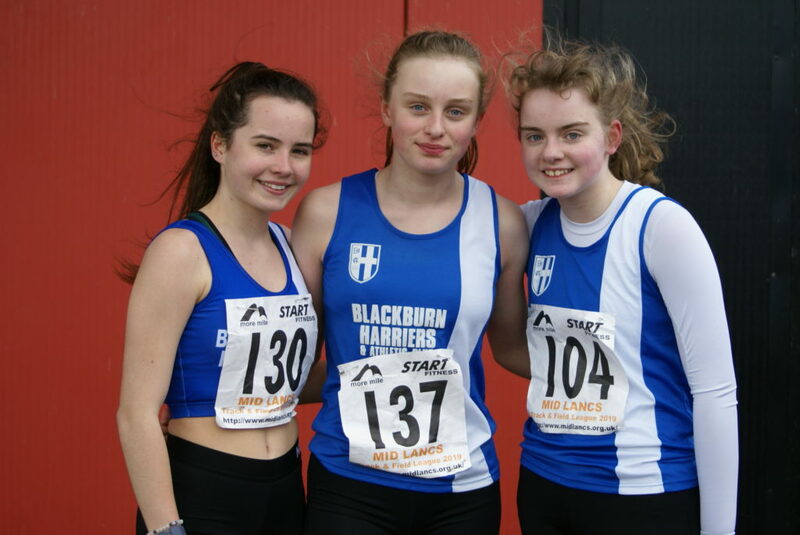 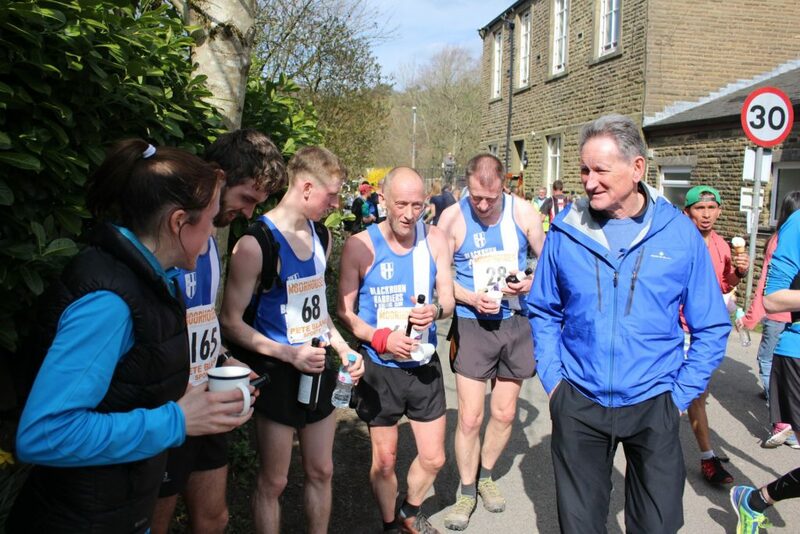 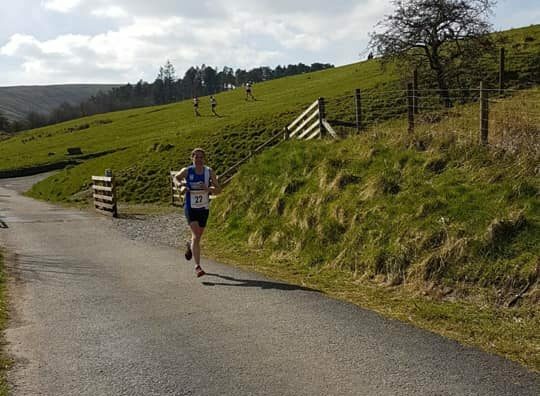 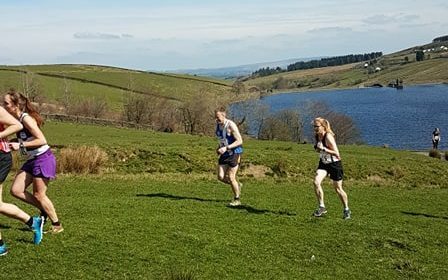 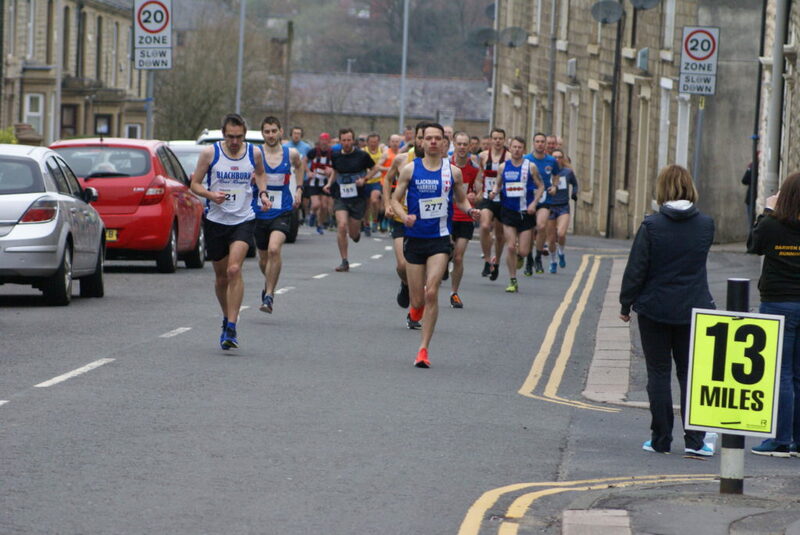 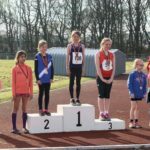 On Saturday two athletes from Hyndburn and two from Blackburn Harriers competed against one another with Hyndburn taking 1st, 2nd and the Harriers 3rd (Loucas Lancashire with 176 points) and 4th (Alexander Brien 136 points). 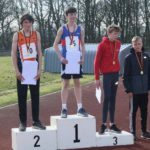 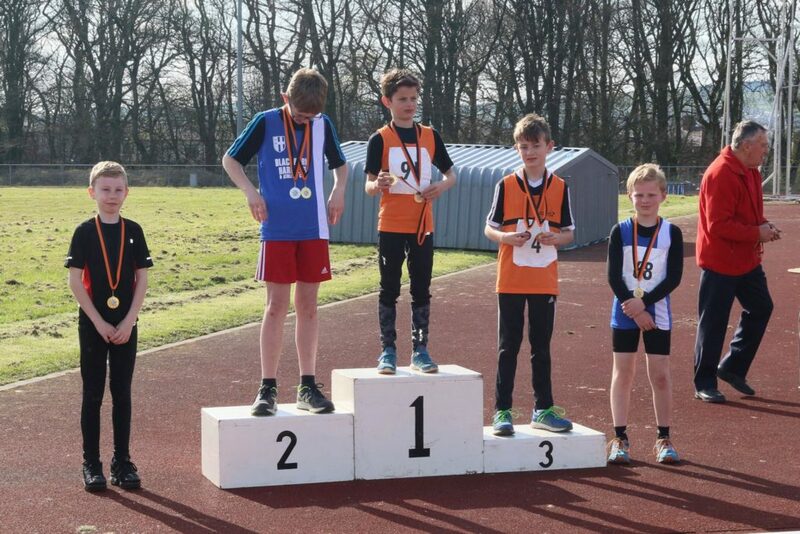 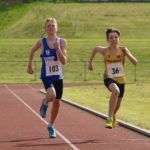 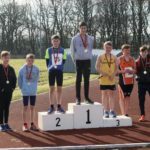 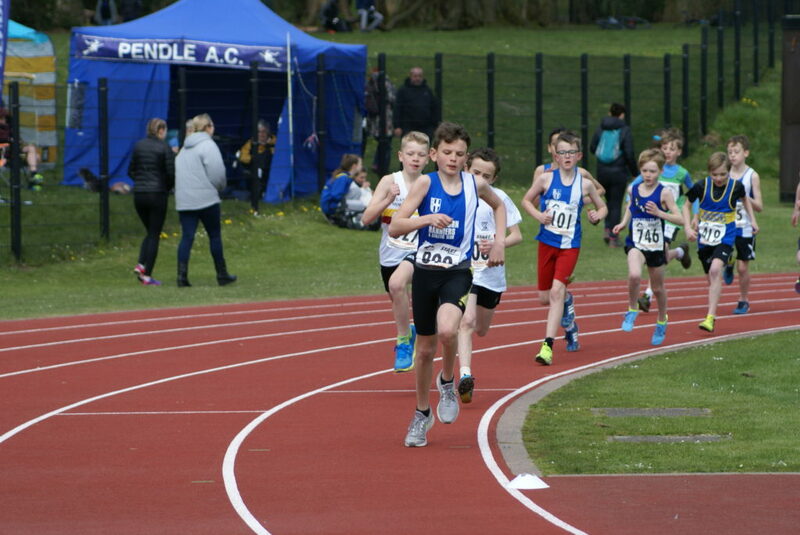 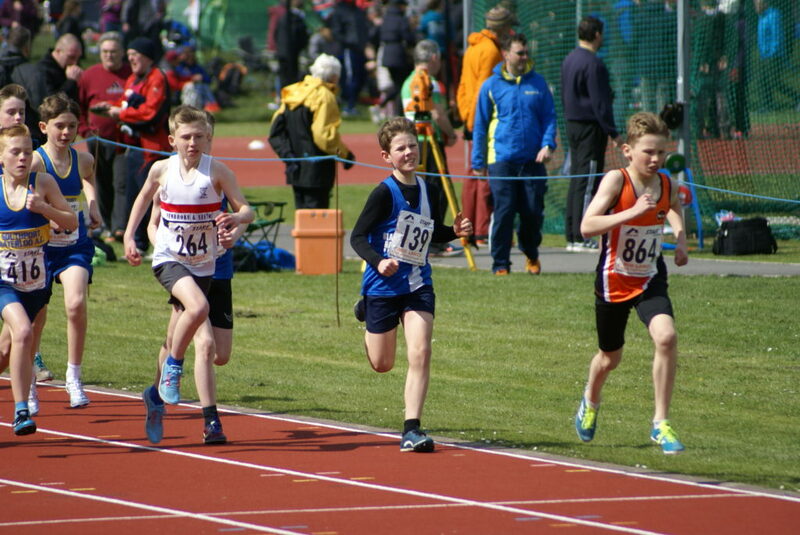 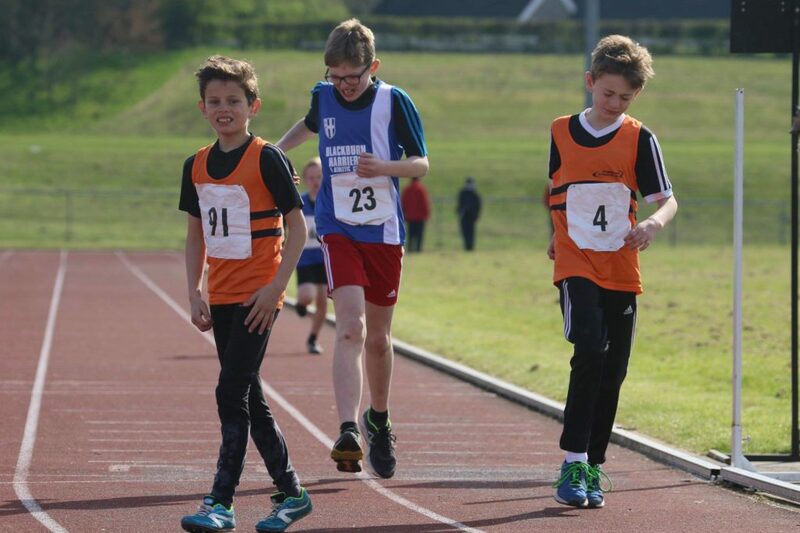 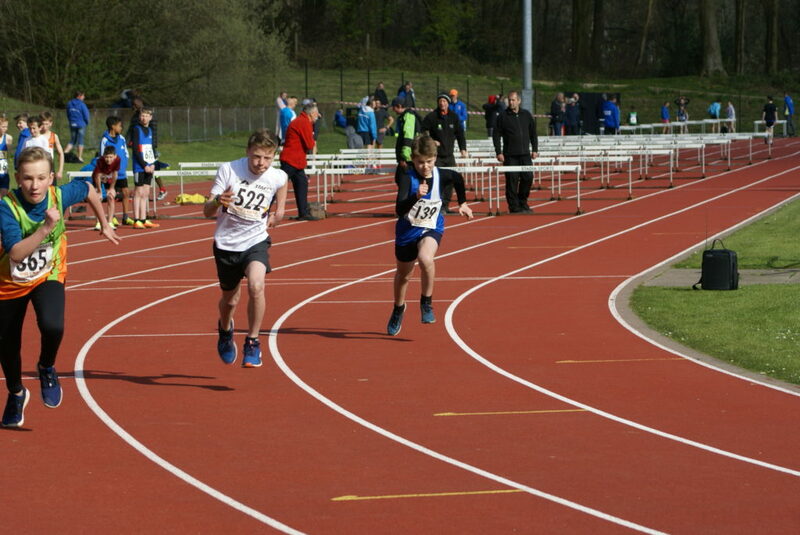 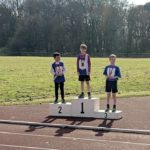 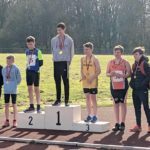 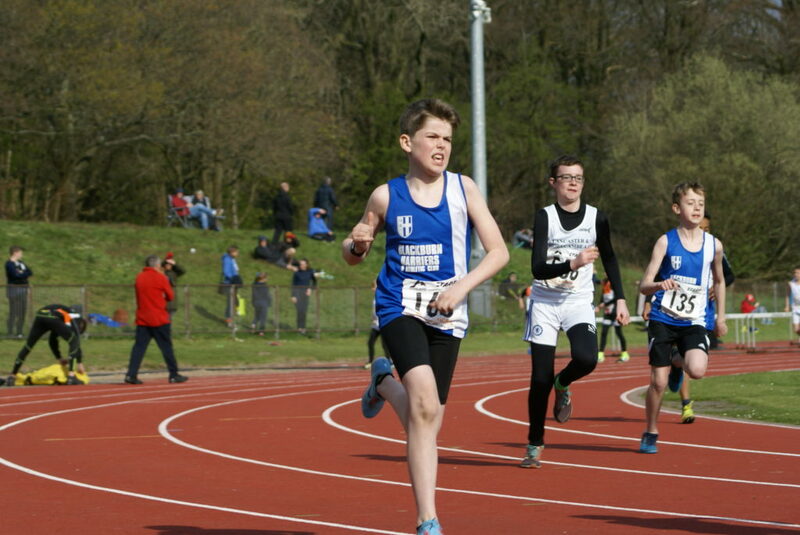 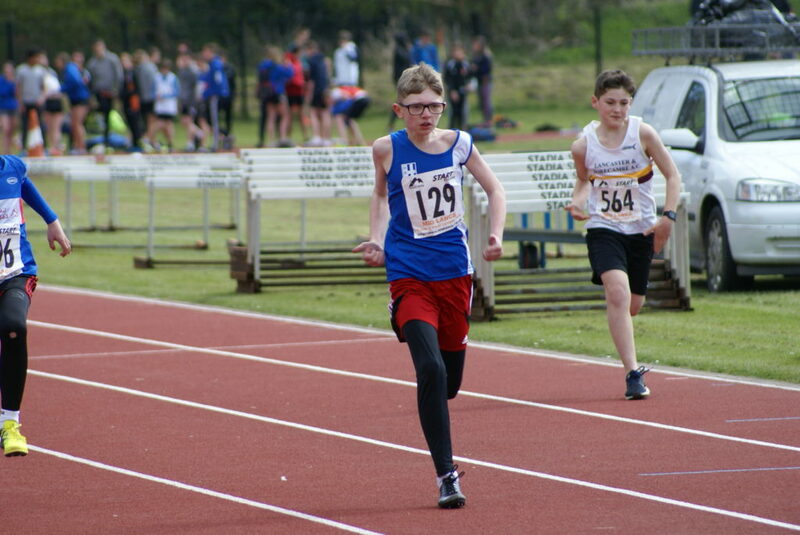 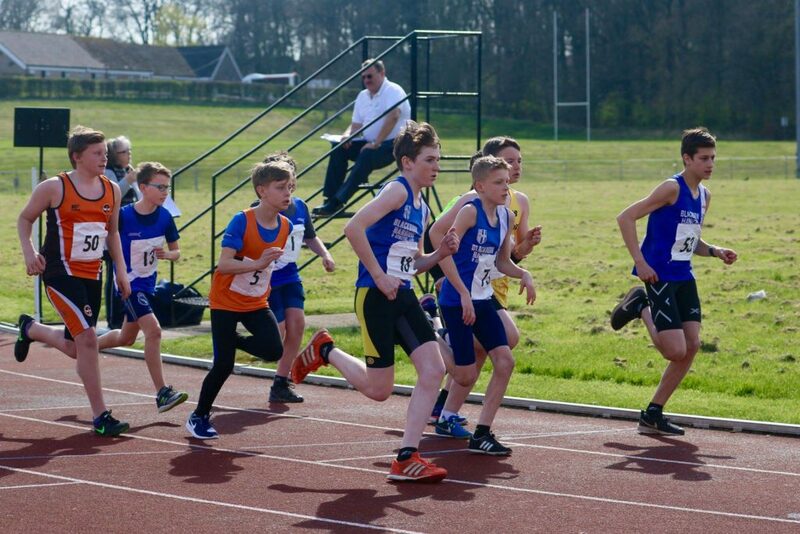 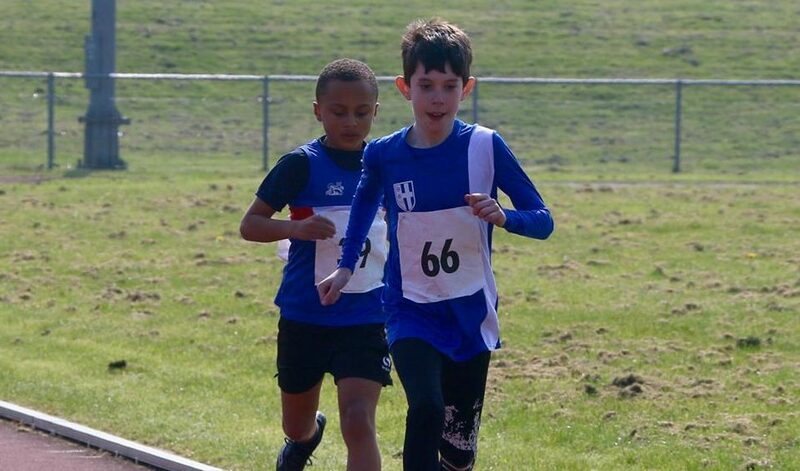 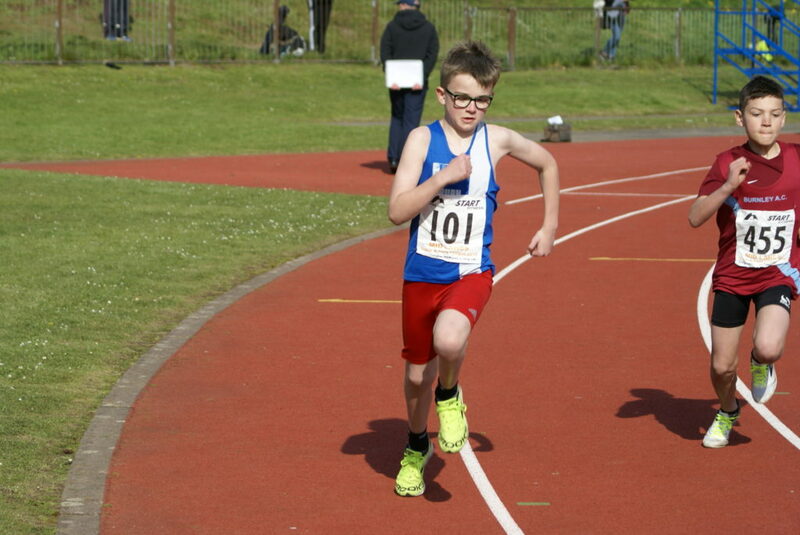 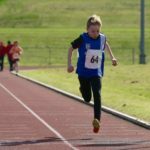 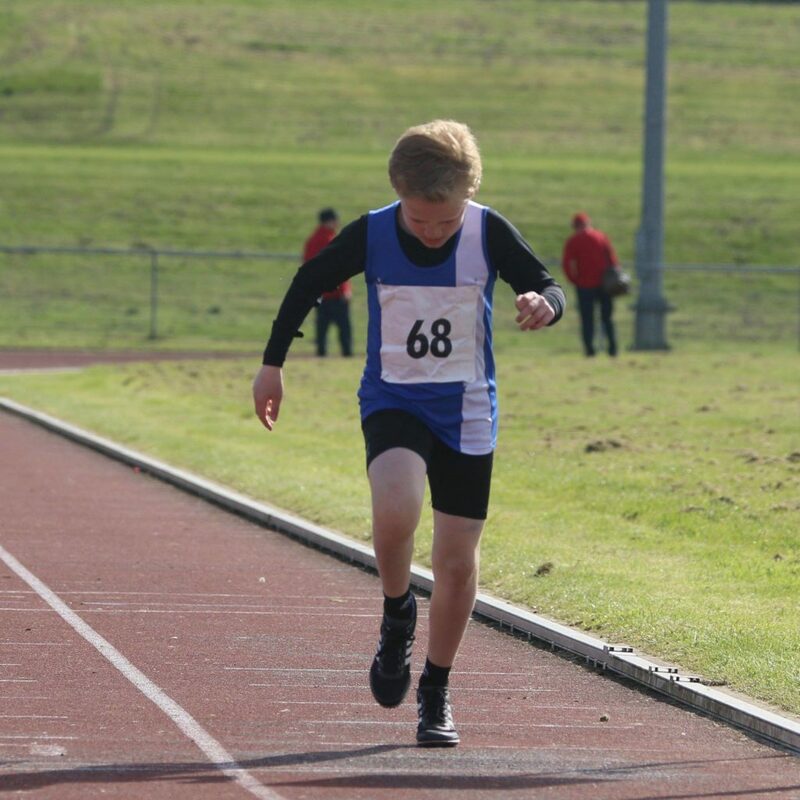 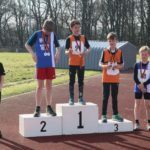 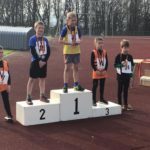 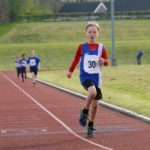 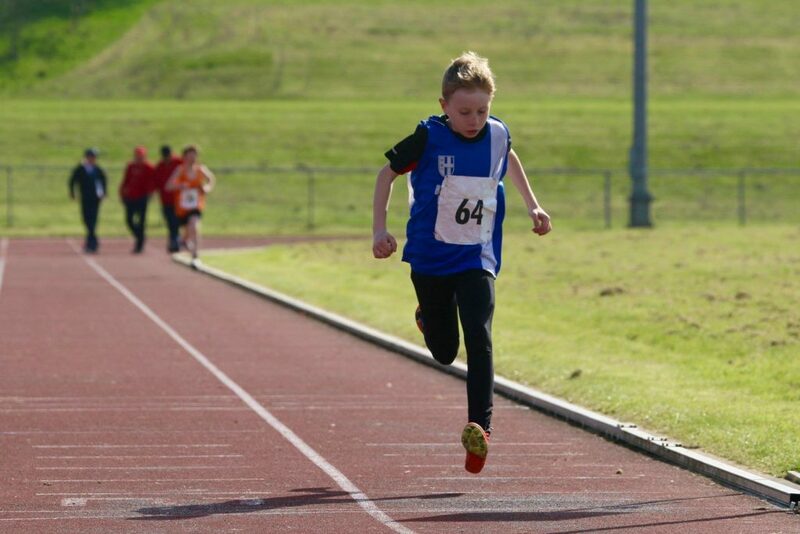 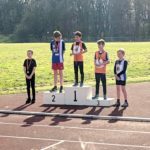 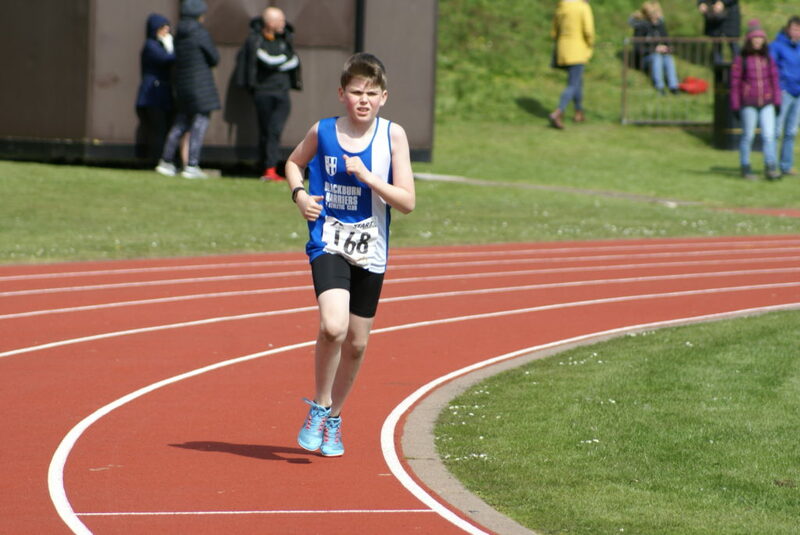 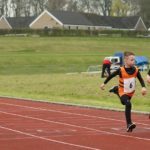 Daniel Nuttall, a recent new member for the Harriers ran a good time of 2.02.8 for the 600m in the year 6 event to help him amass 206 points in front of the Hyndburn athlete in 2nd place. 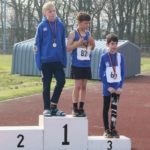 (RESULTS) —- On Sunday, Felix Thompson contested the Year 5 competition and finished in 3rd place with 163 points in total behind a Preston athlete in 2nd (172) and Southport athlete who won with 190 points. 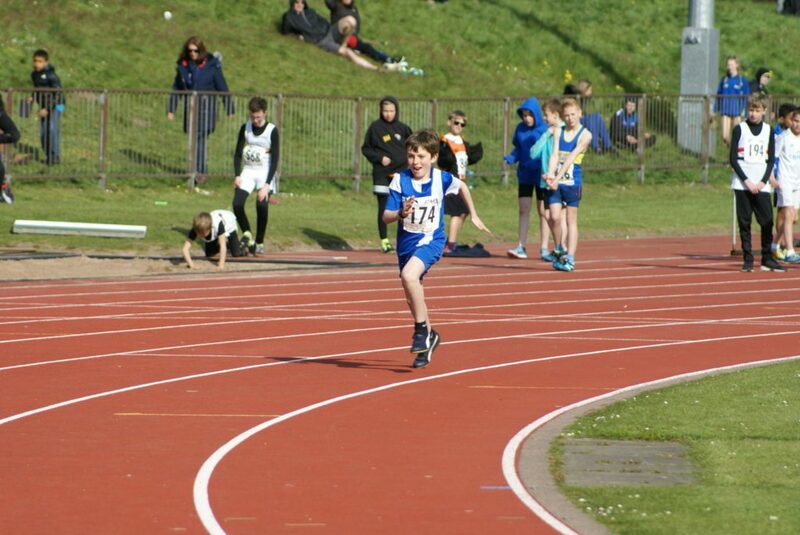 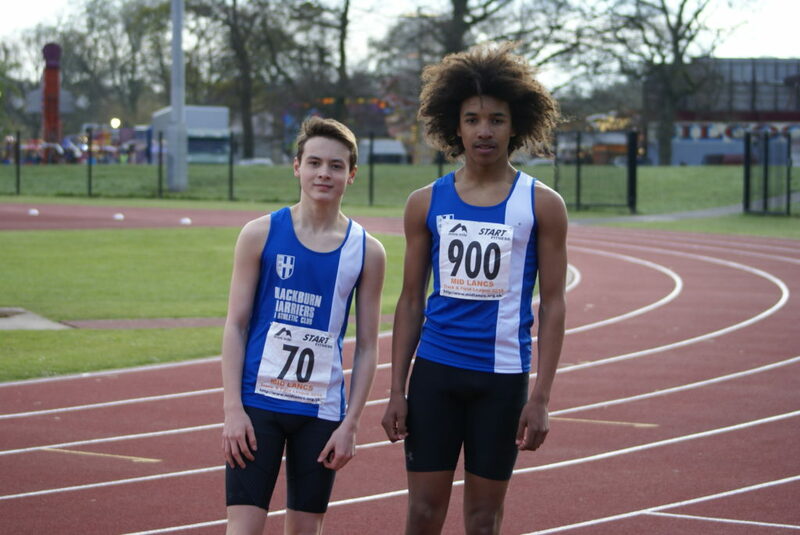 Felix set a new PB in the 75m (12.7) and a new PB in the 600m clocking 2.06.6 – an improvement of six seconds. 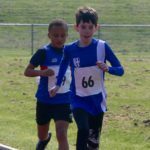 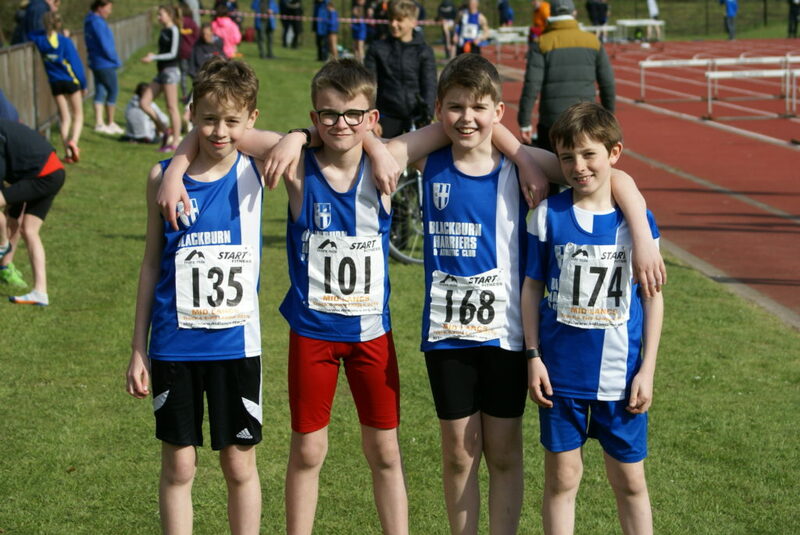 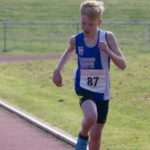 The Year 6 Boys had two form Blackburn Harriers and one from Southport up against one another which saw Matthew Smith come equal 1st with Joseph Wake of Southport with combined totals of 226 points. 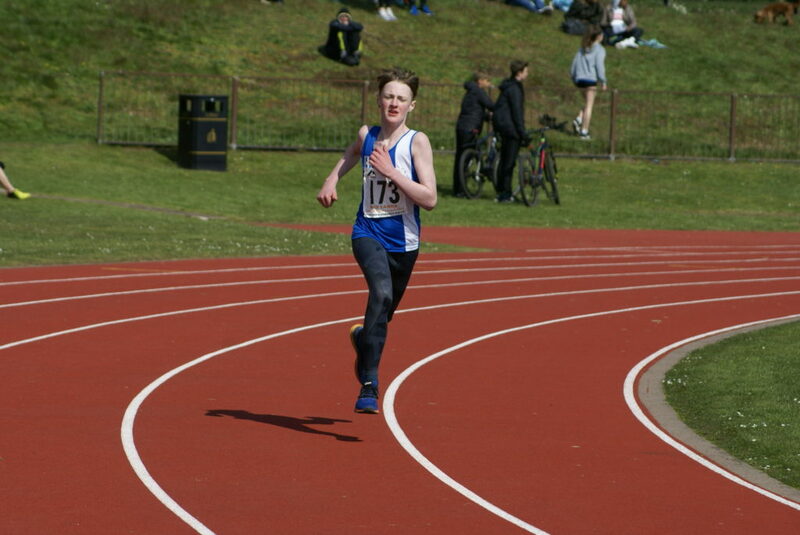 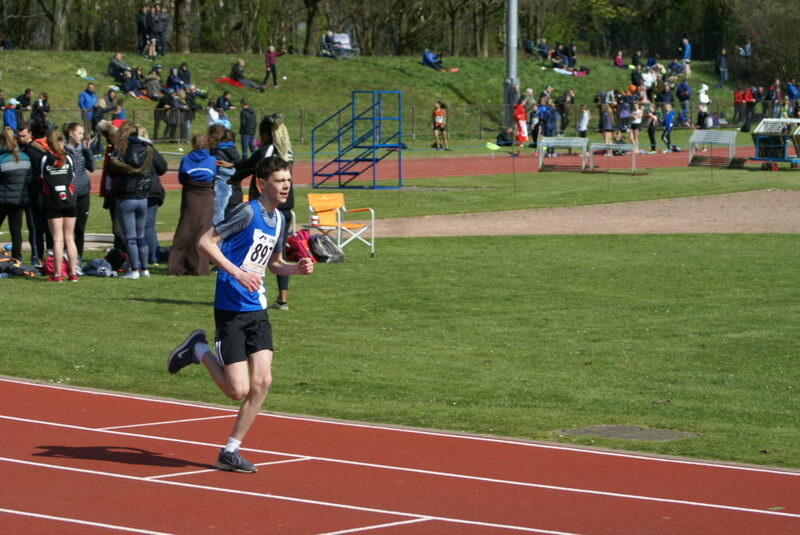 In his 600m Matthew chopped a huge 7 seconds off his previous best for a new PB of 1.44.0. 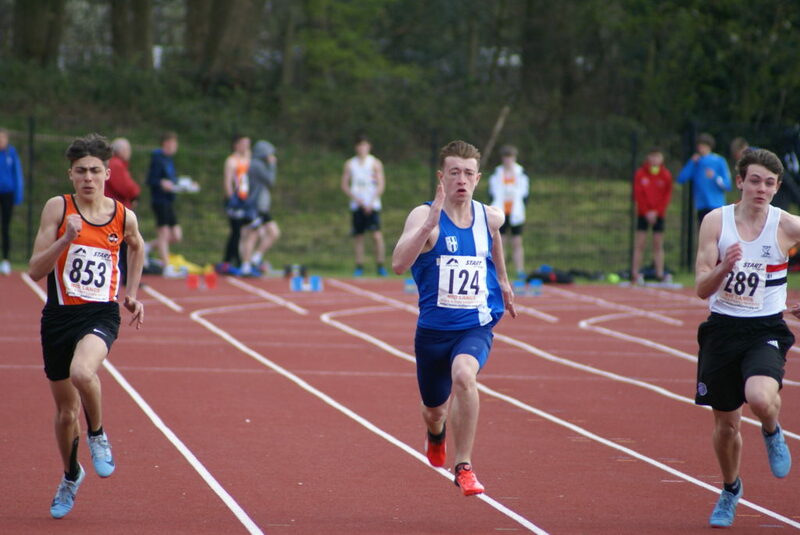 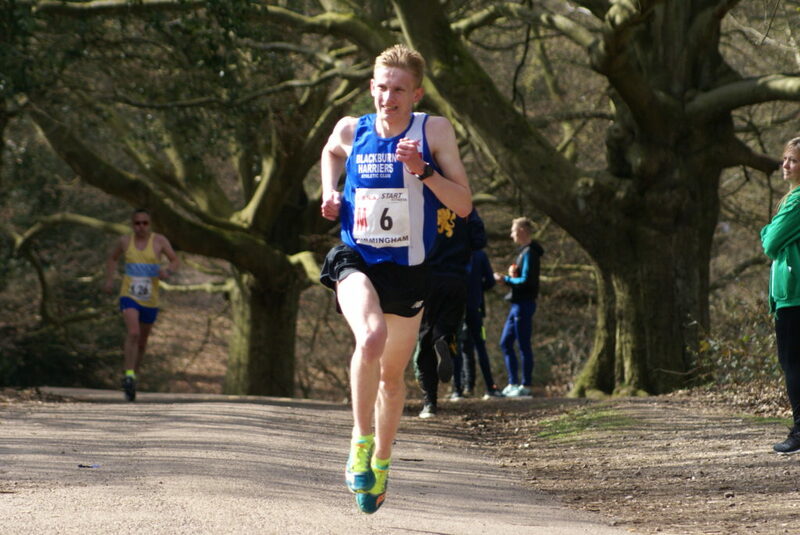 Pleasing to see Sam Craven competing here finishing with 128 points which saw him knock a massive 33 seconds off his 600m time to set a new PB of 2.35.6 (RESULTS). 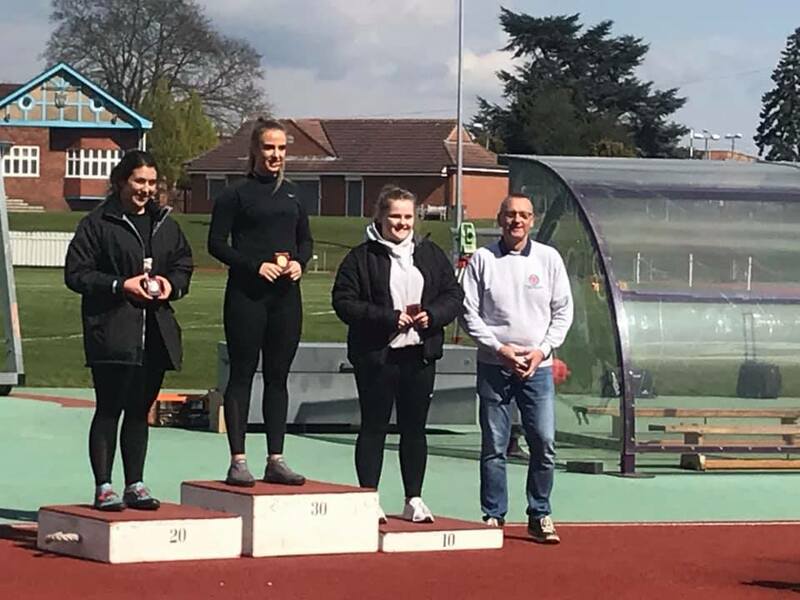 Harmony Hacking and Hannah Davies were in the Year 5 event on Sunday with Harmony coming home in 3rd place out of 4 (181 points) and Hannah 4th (157 points). 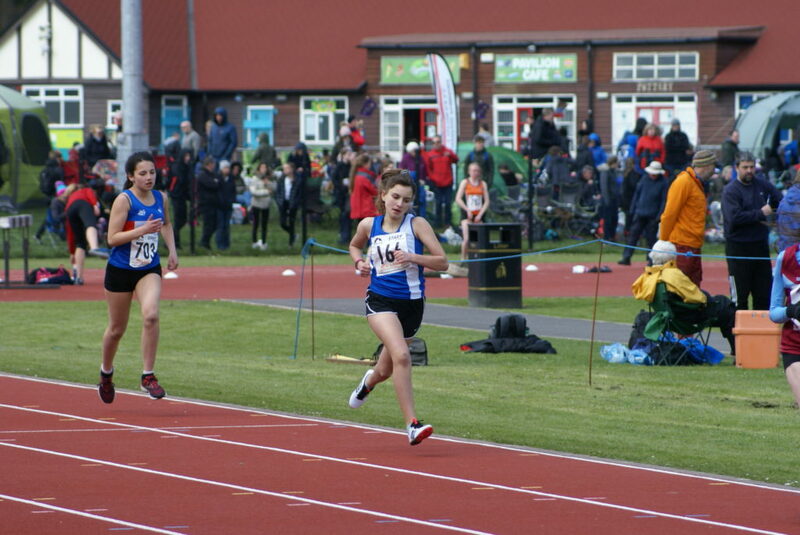 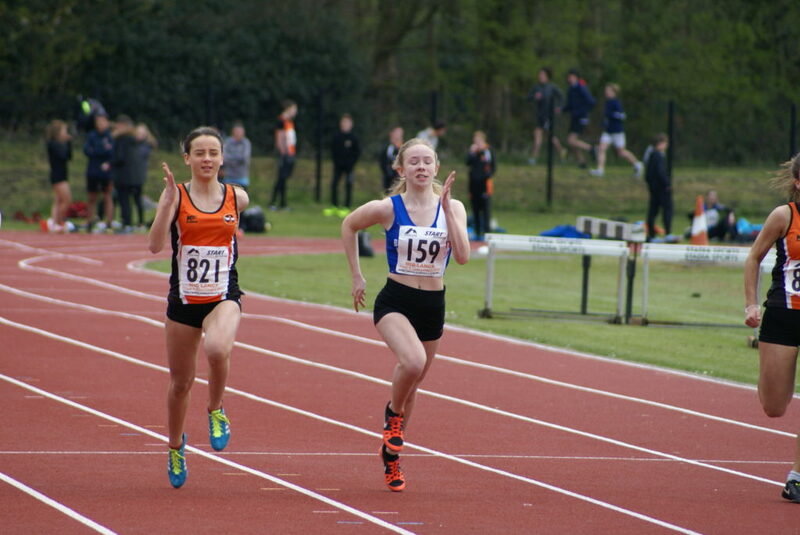 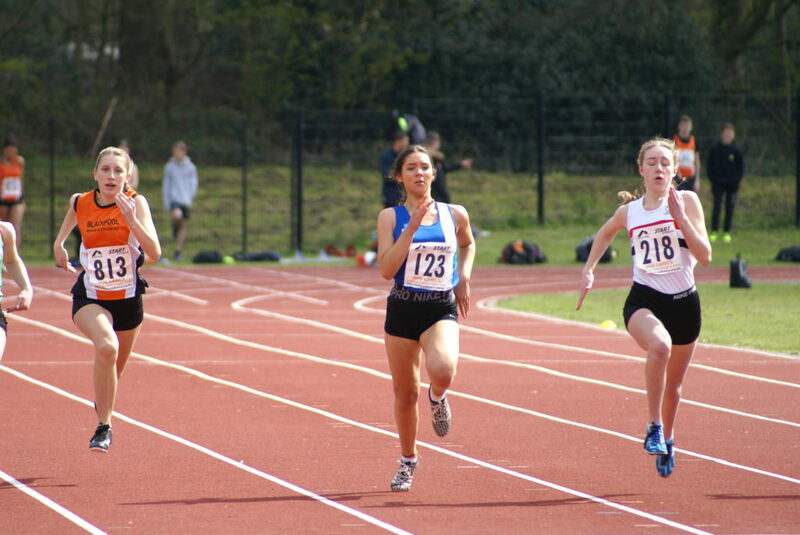 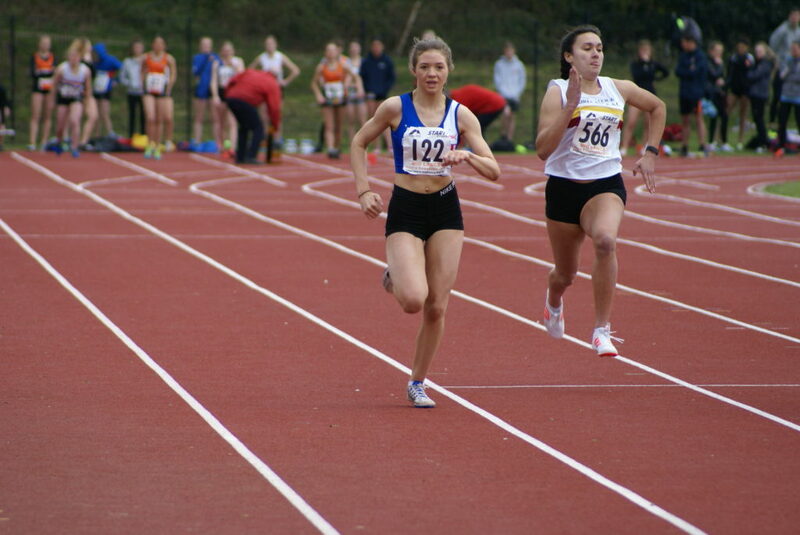 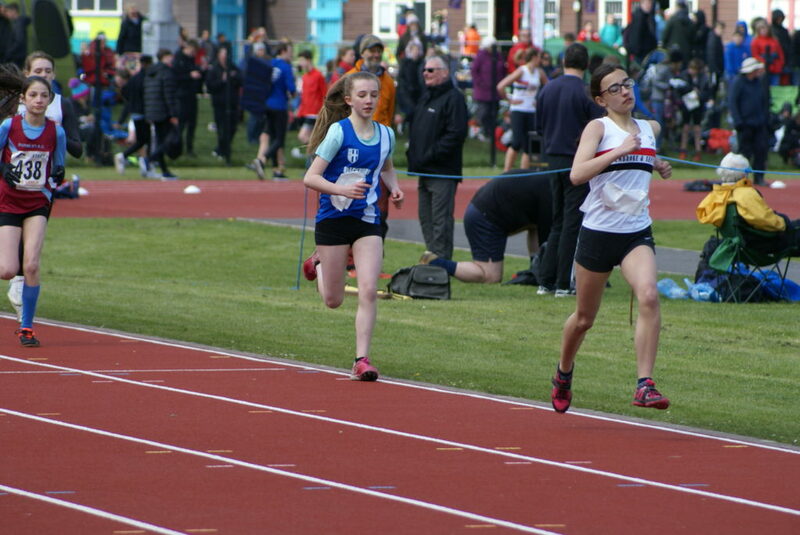 There was new PB’s for both girls in the 75m with 12.2 for Harmony and 12.1 for Hannah 12.1 (RESULTS). 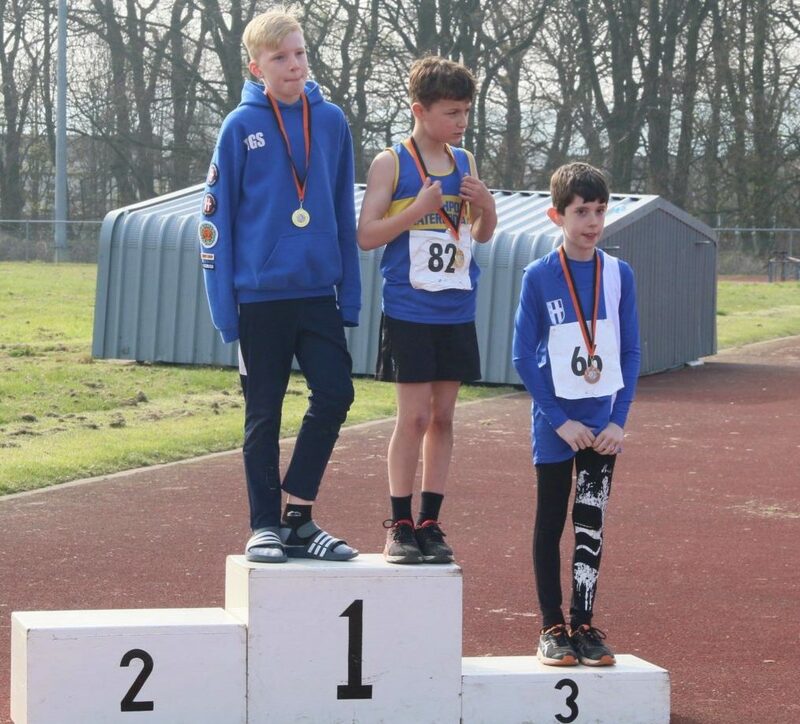 Saul Sharp, Dexta Thompson and Codie Dewhurst were all involved in the year 8 event on Saturday along with anopther athlete from Blackpool. Saul took the honours winning the event with a combined total of 197 points, with Dexta in 2nd (170 points) and Codie in 3rd (162 points). 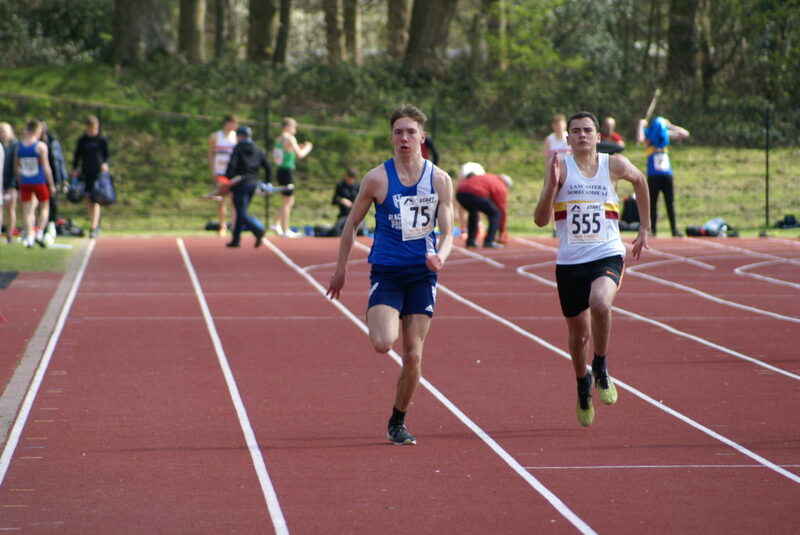 During the event there were new PB’s set by Saul in the 100m (14.7), 800m with a big improvement of 10 seconds (2.26.0) and another new PB in the Long Jump of 4.02m. 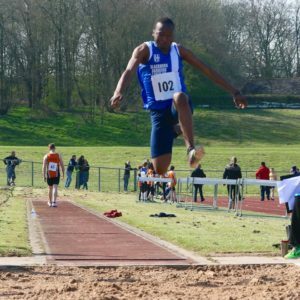 Dexta also set a new PB in 800m clocking 2.25.0 and similarly in the Long Jump, adding 18 cms to his previous best for a new PB of 3.39m. 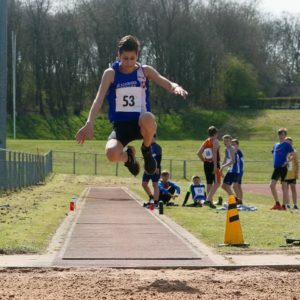 Codie kept the trend going with a new PB in the Long Jump with his leap of 3.39m (RESULTS). 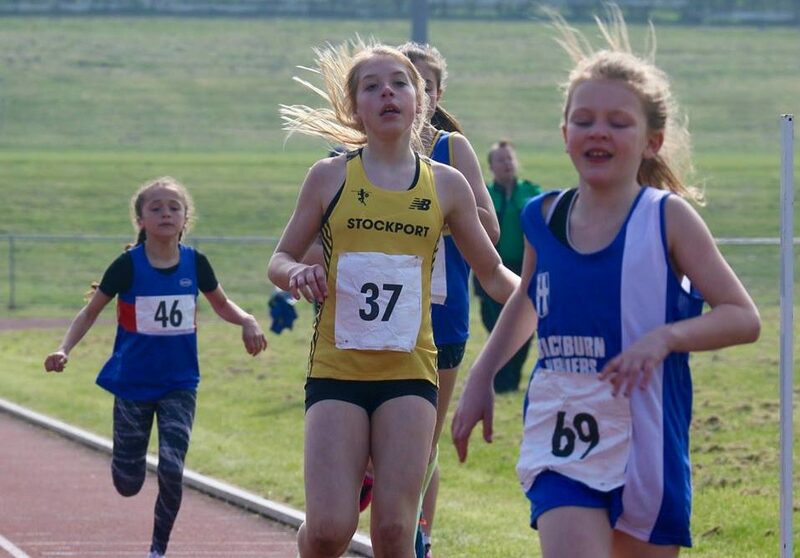 Katie Capstick finished 4th in the year 7 event on Sunday clocking up 58 points. 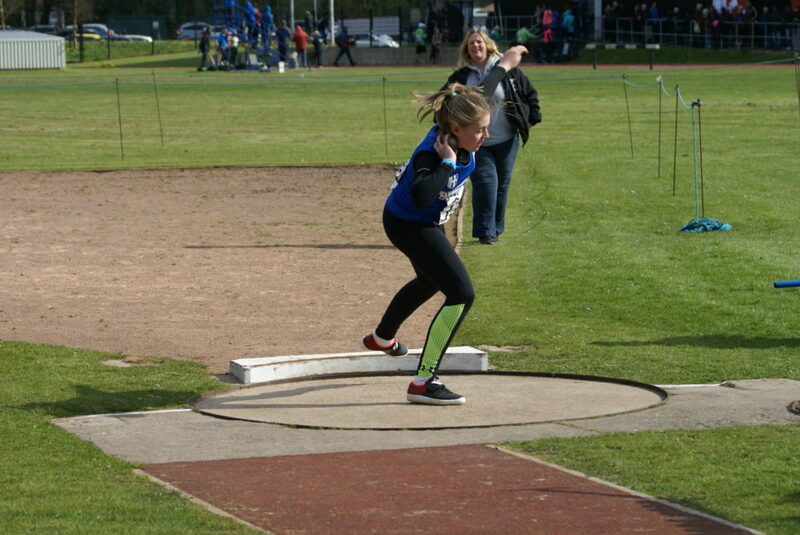 This was her first ever competition for the Club which was great credit to her.